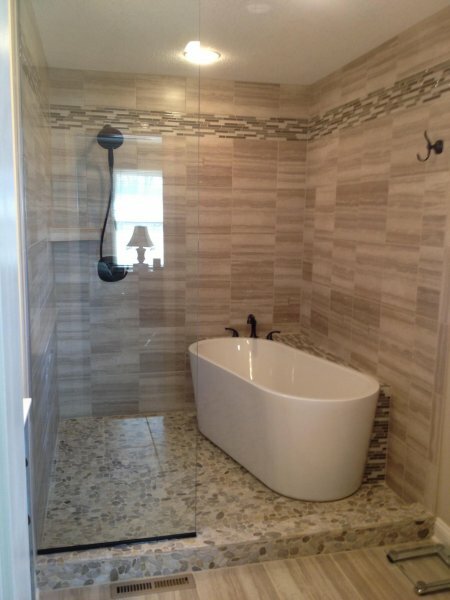 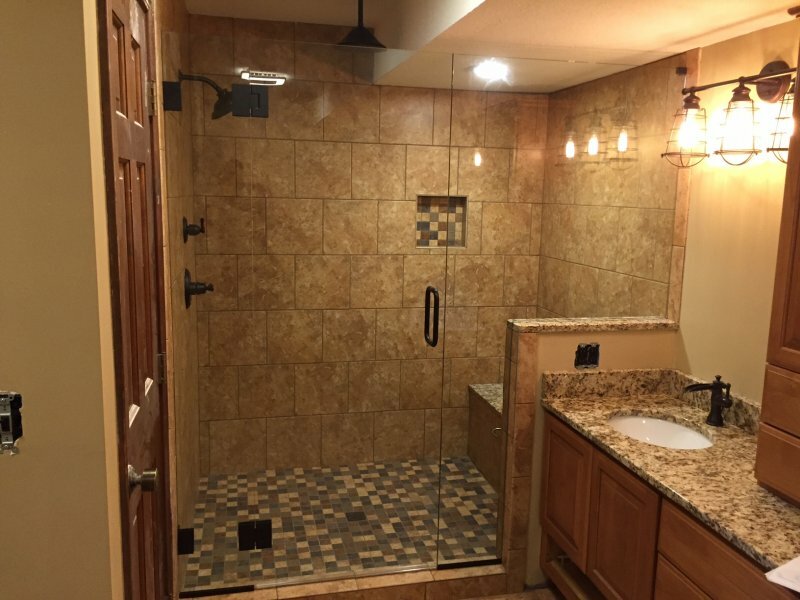 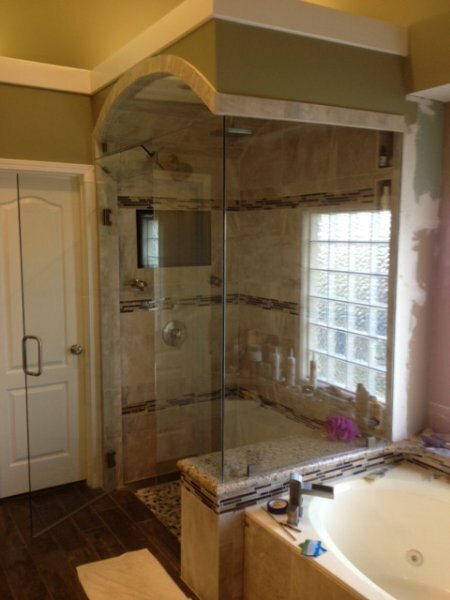 Are you considering a bathroom remodel or other home improvements? 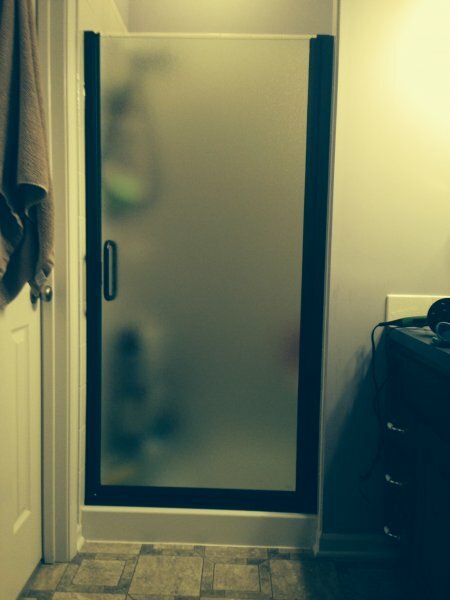 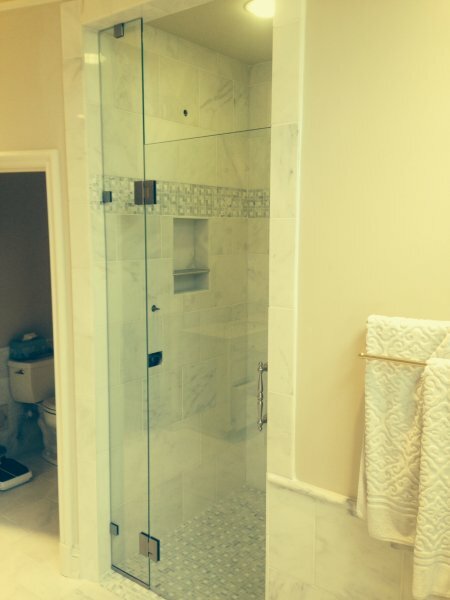 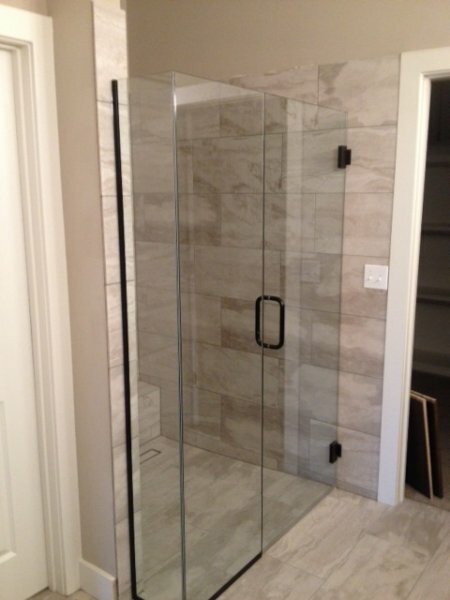 • What thickness of glass do you want for your shower doors? 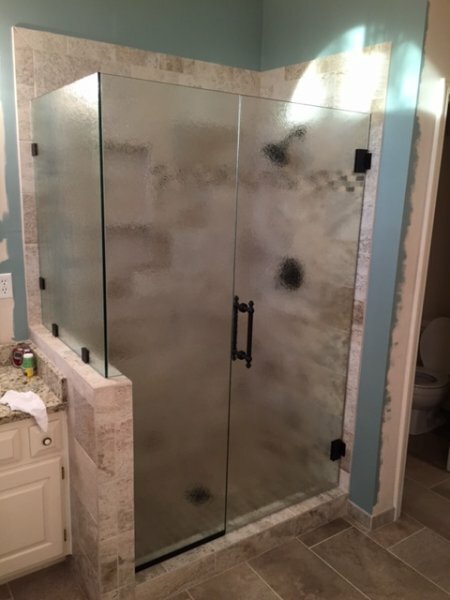 • How do you want the edges of your glass cut? 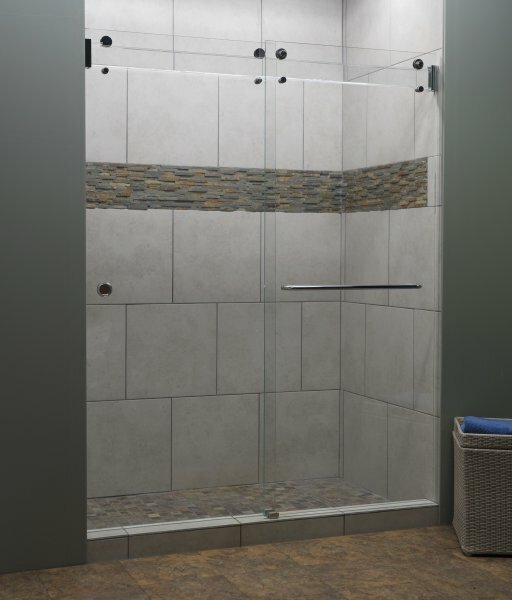 • What type of shower hardware do you want? 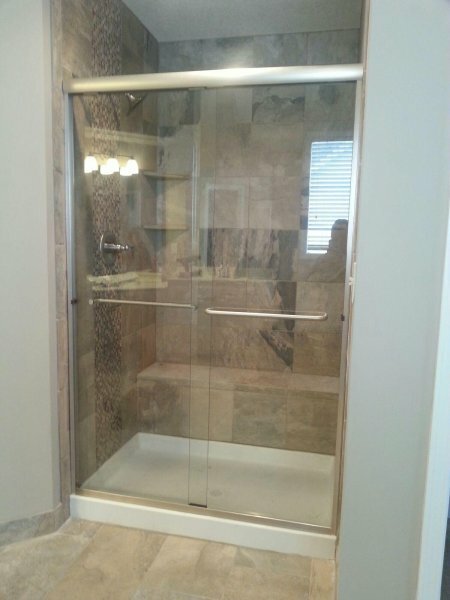 Click here to view some of the shower door hardware we offer. 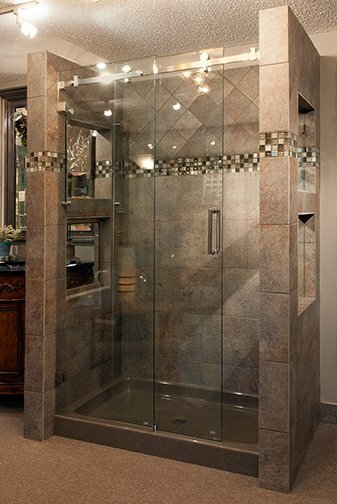 • What kind of hardware finish will compliment your bathroom design? Click here to view several of our hardware finish offerings. 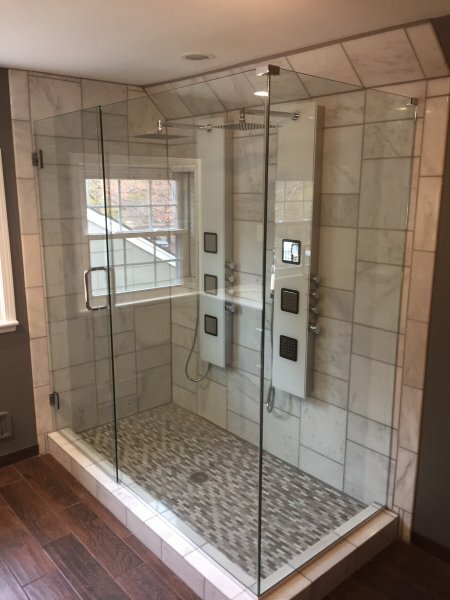 • Do you even WANT much hardware? 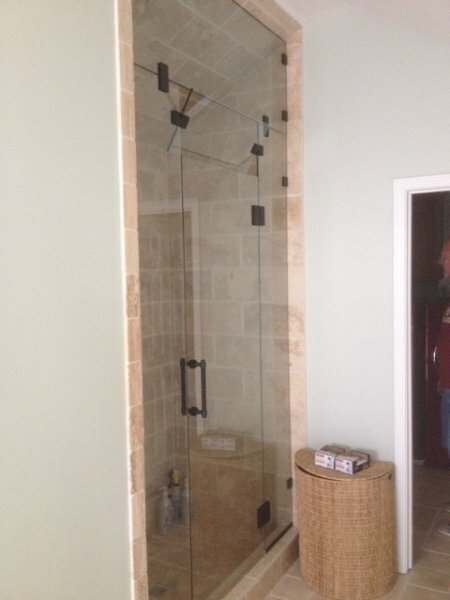 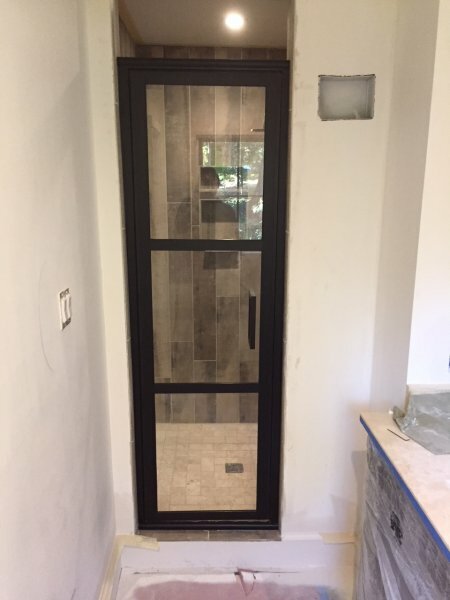 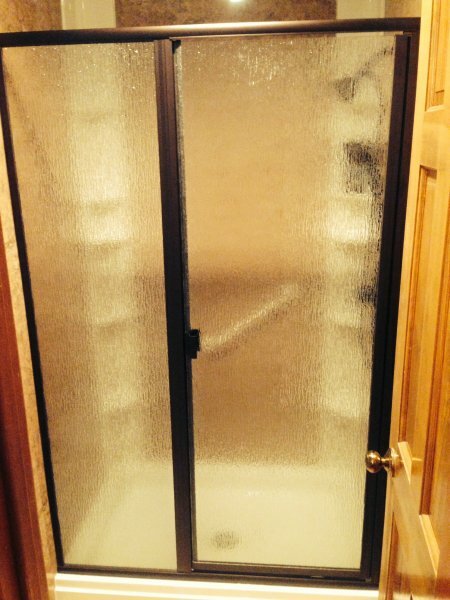 • Do you want your shower door framed? 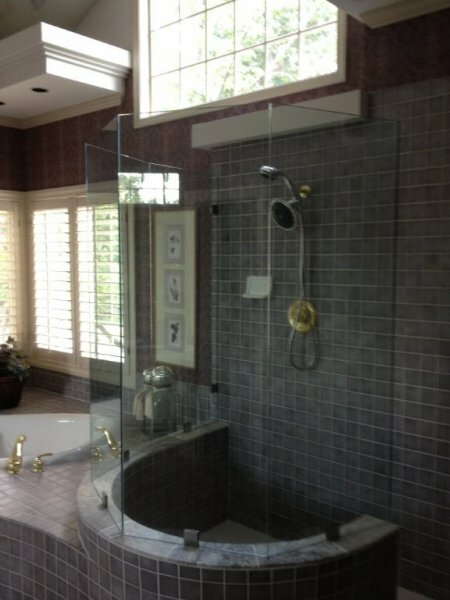 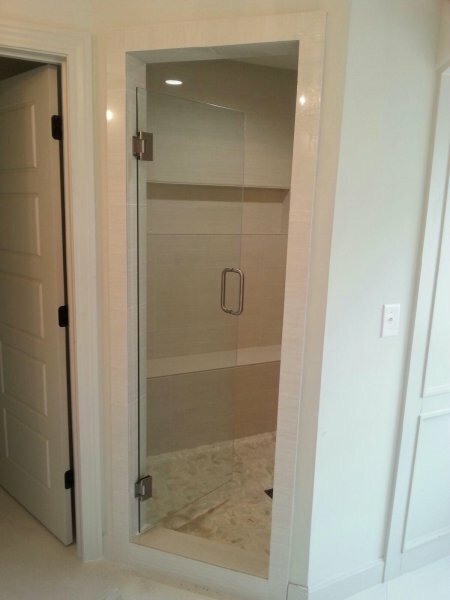 Or do you prefer the frameless shower door? 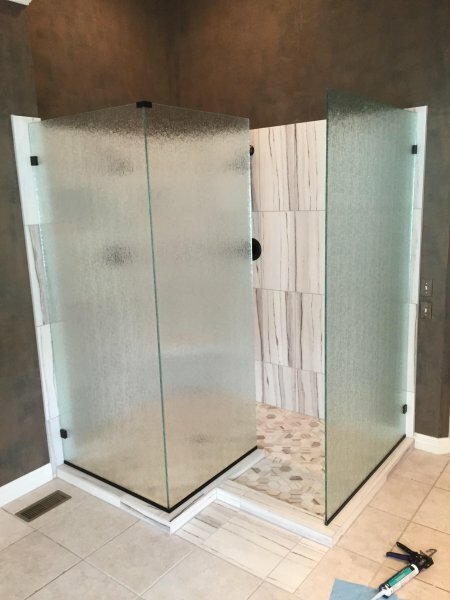 Click here for some of our thoughts on frameless shower doors. 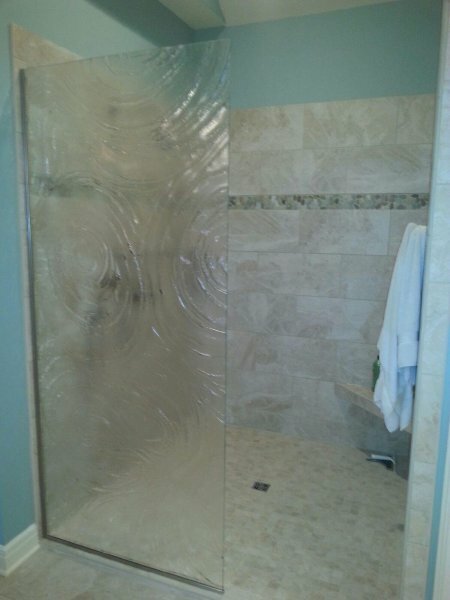 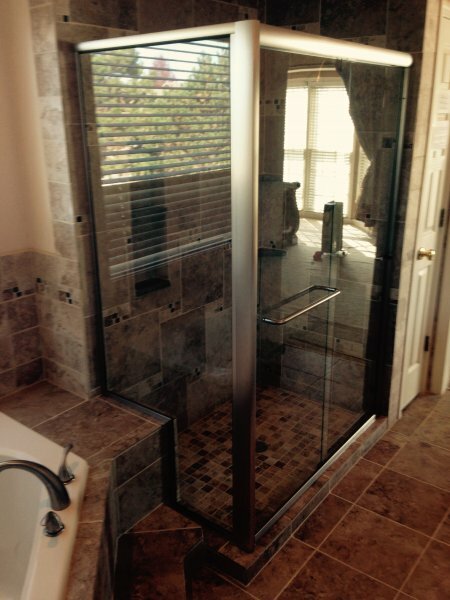 • Do you want clear glass shower doors, or do you prefer a textured glass shower door? 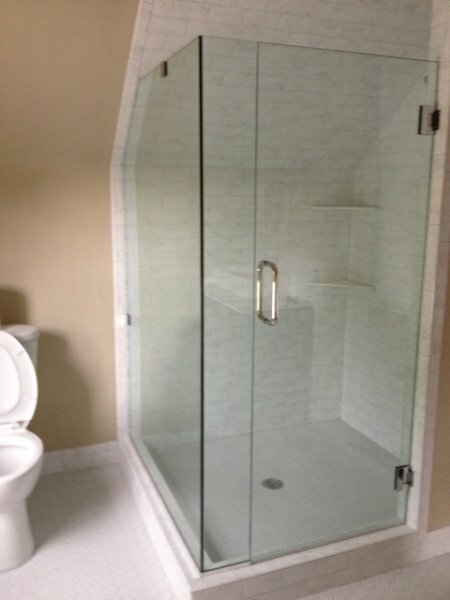 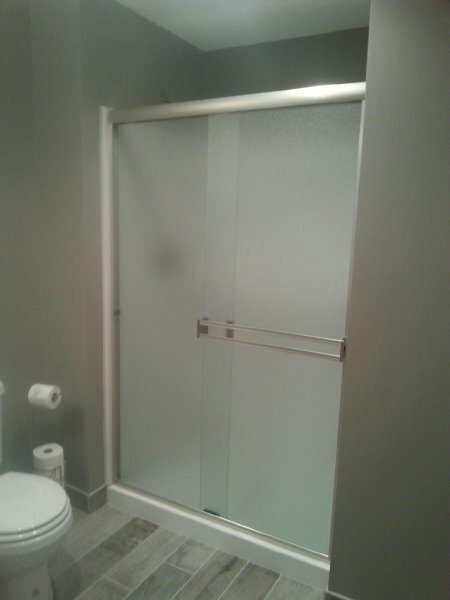 Or, perhaps you would like a colored glass shower door? 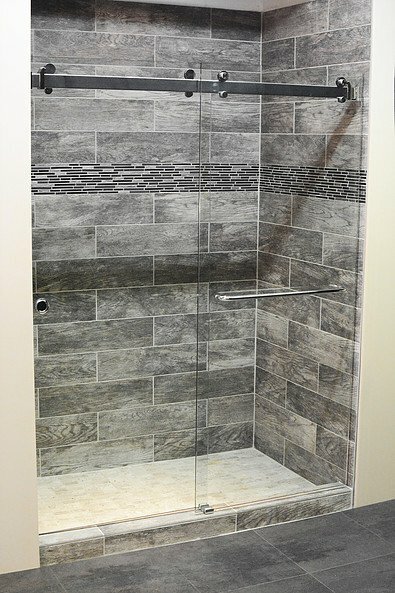 • Are you wanting a contemporary look for your shower enclosure, or do you prefer the traditional shower door? 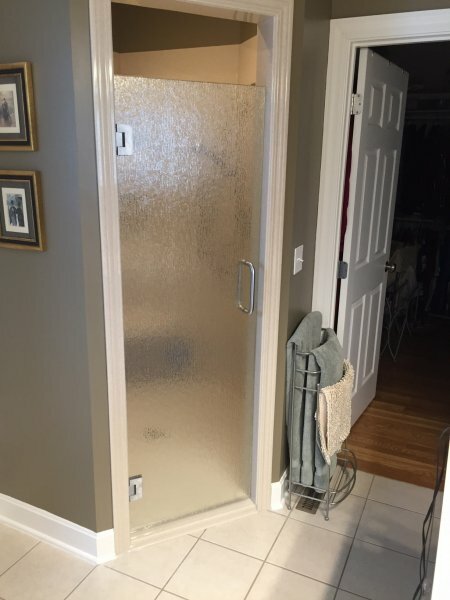 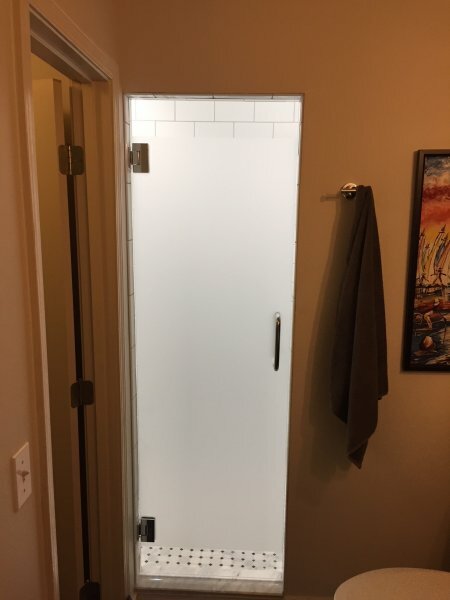 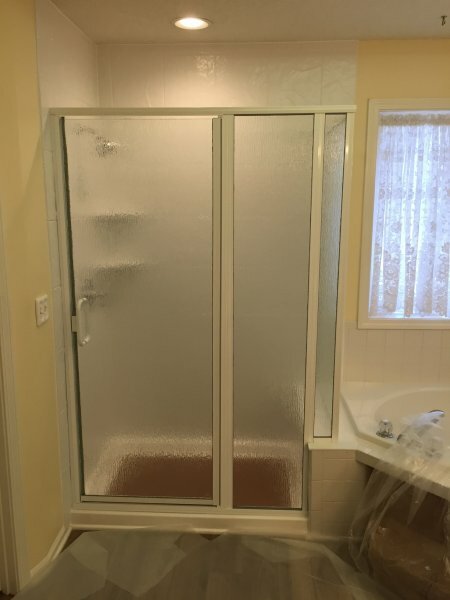 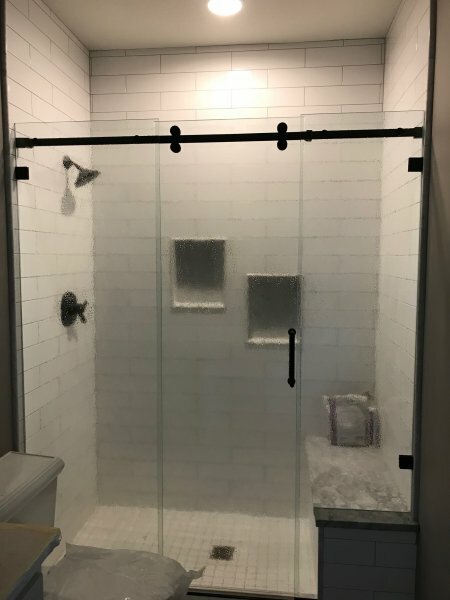 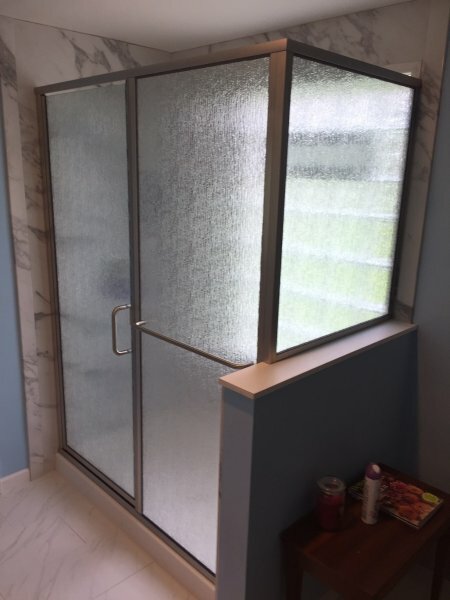 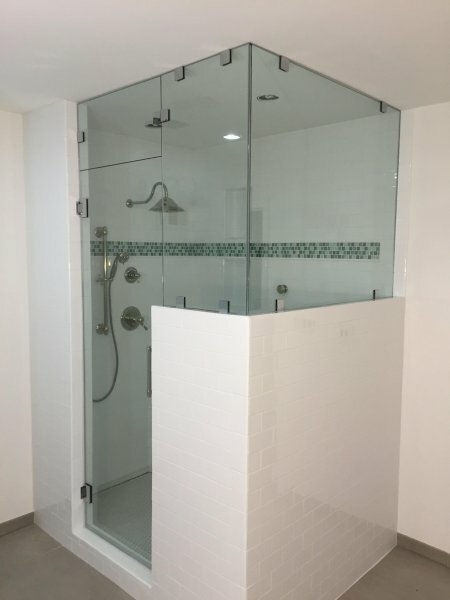 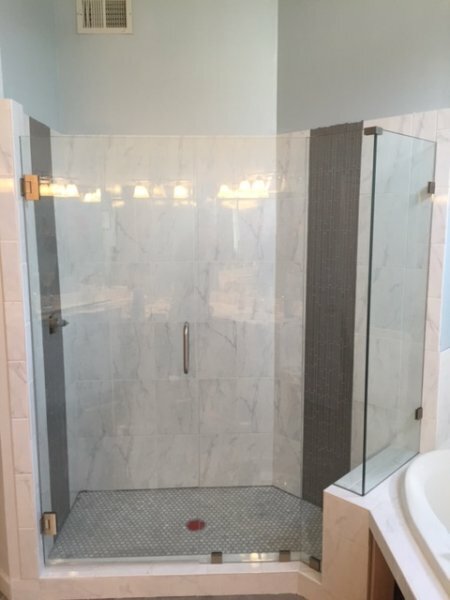 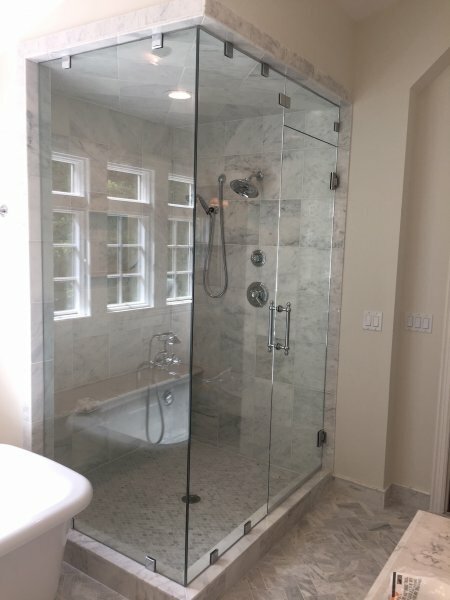 • Perhaps you want a completely original and unique glass shower enclosure and would like to consider elegant cast glass shower doors to truly bring life to your bathroom or home project. 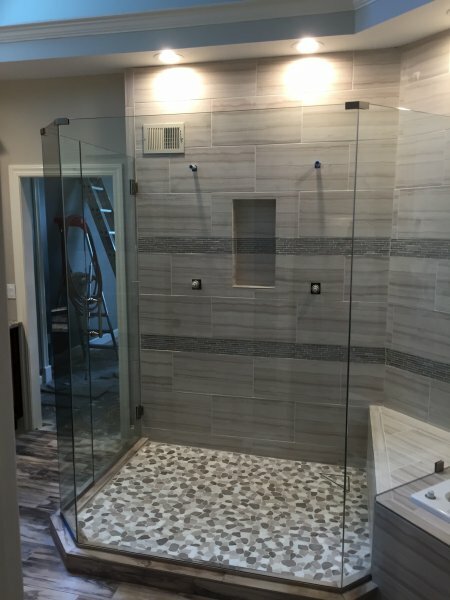 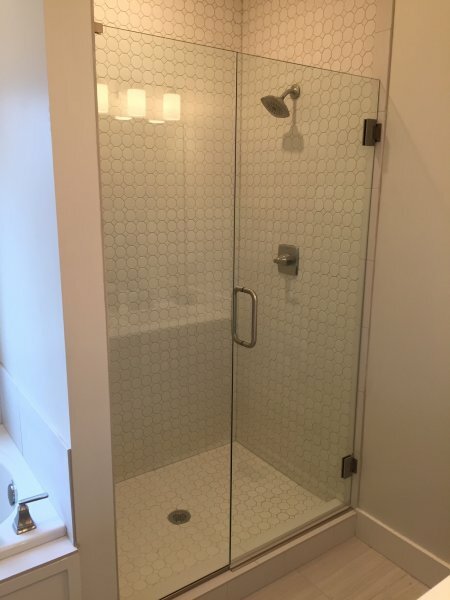 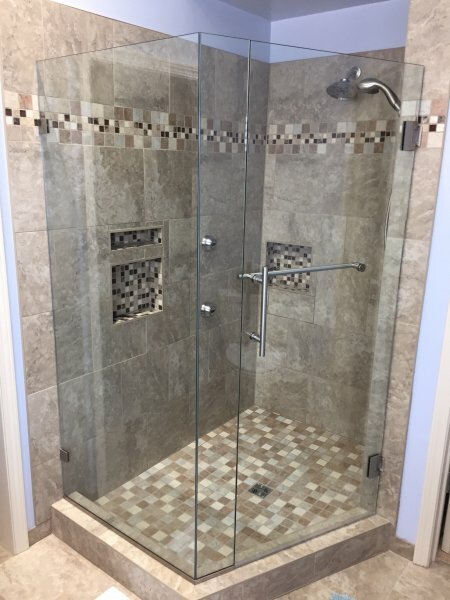 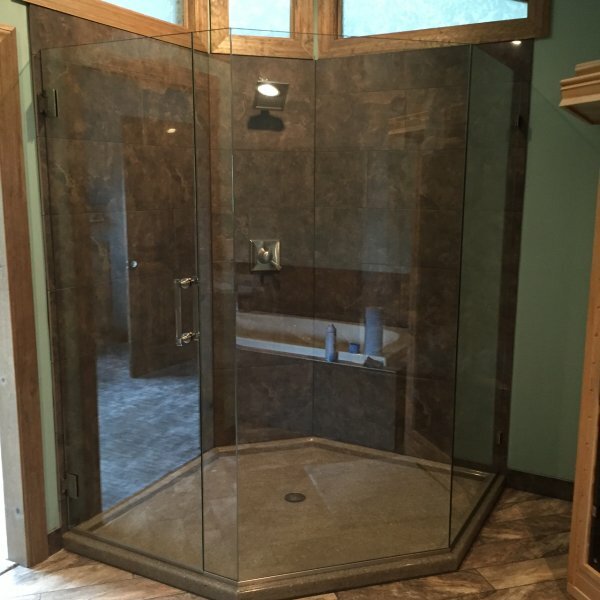 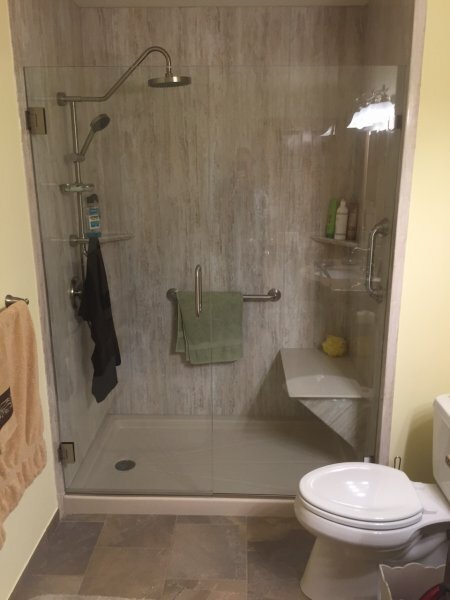 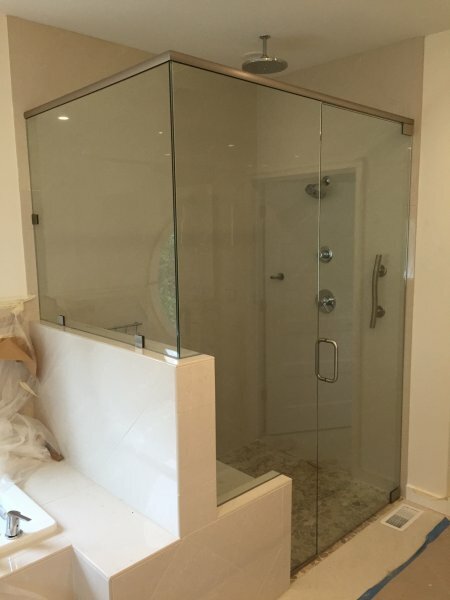 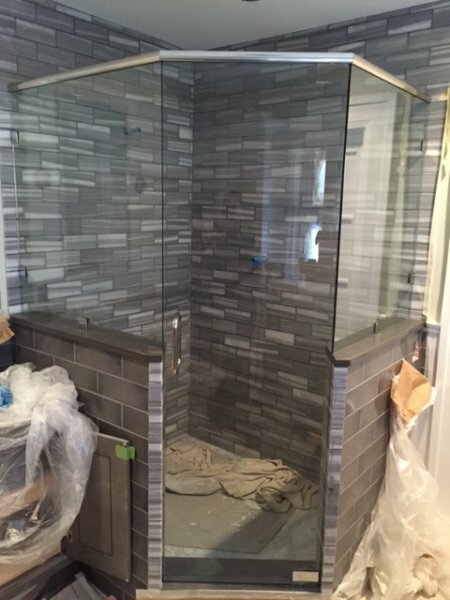 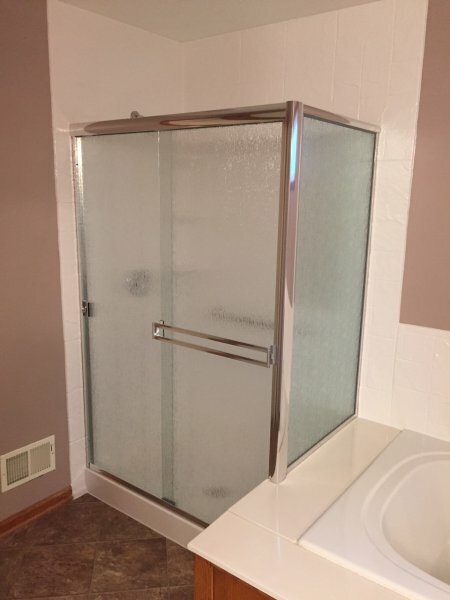 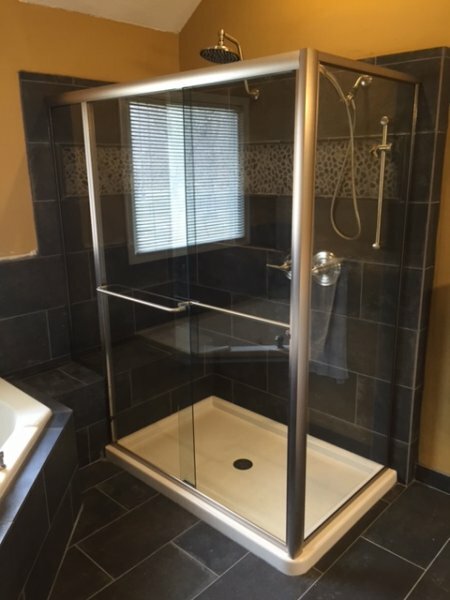 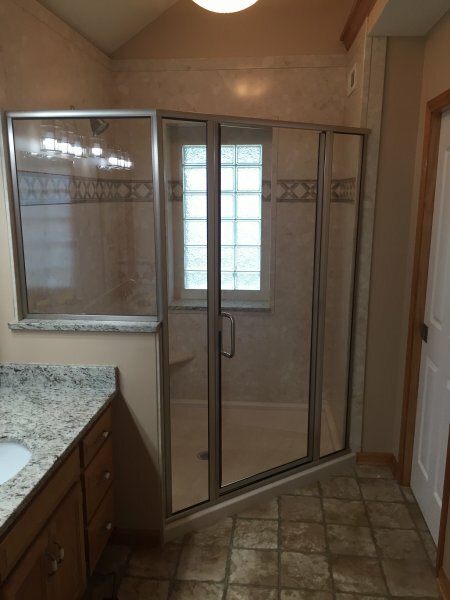 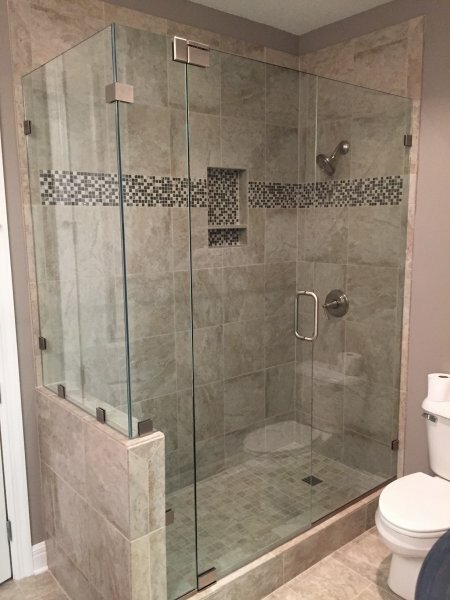 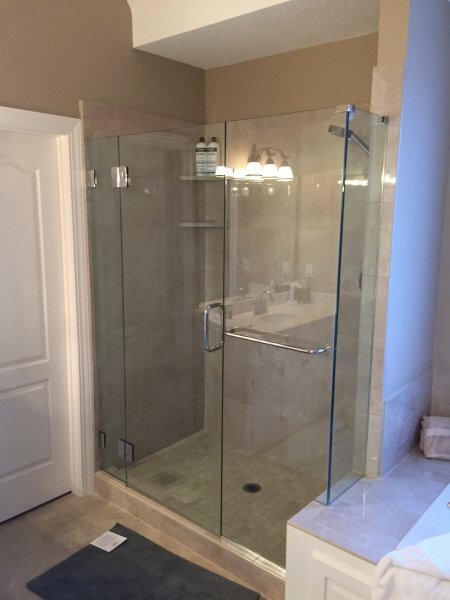 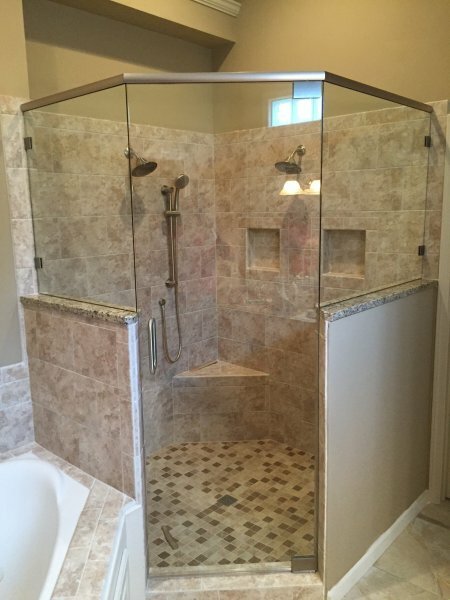 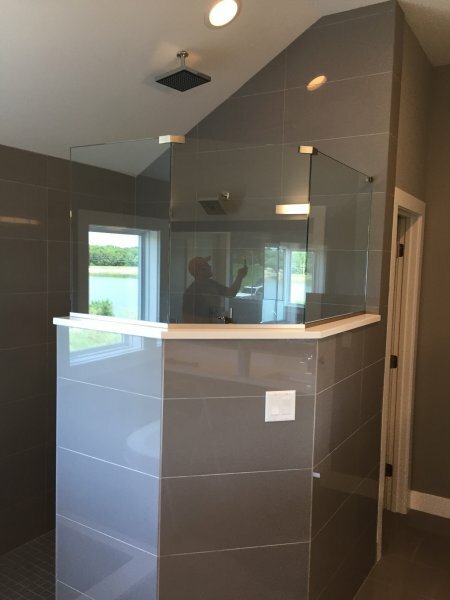 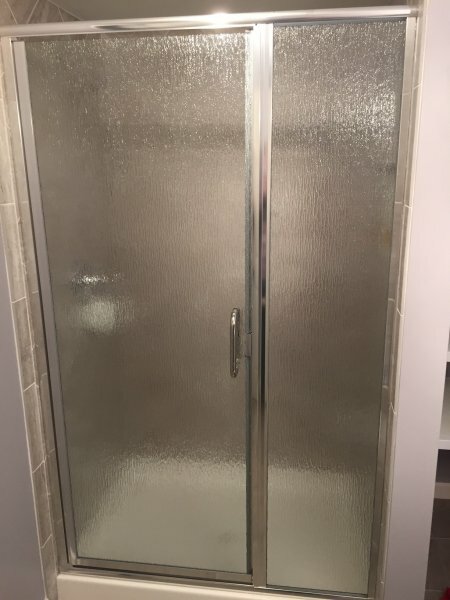 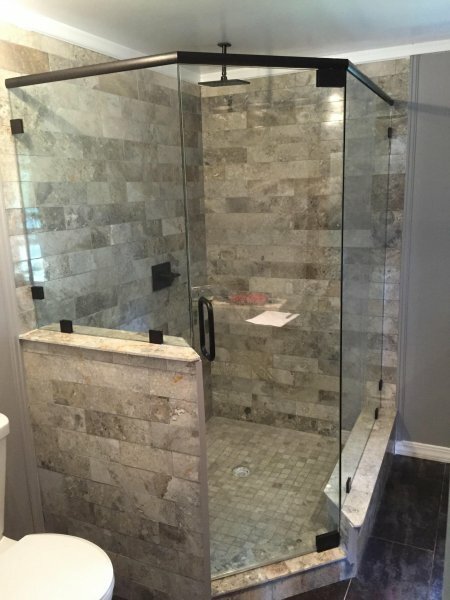 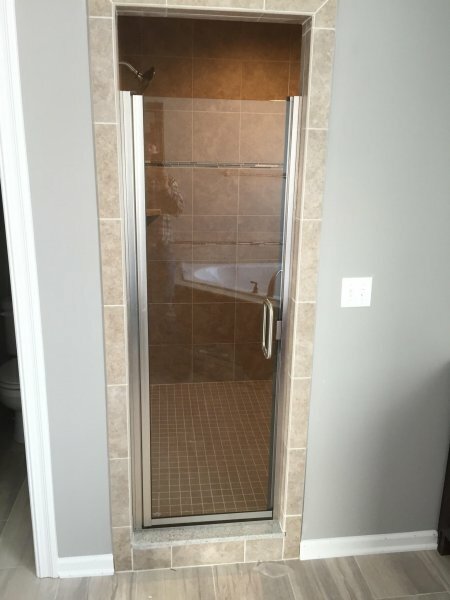 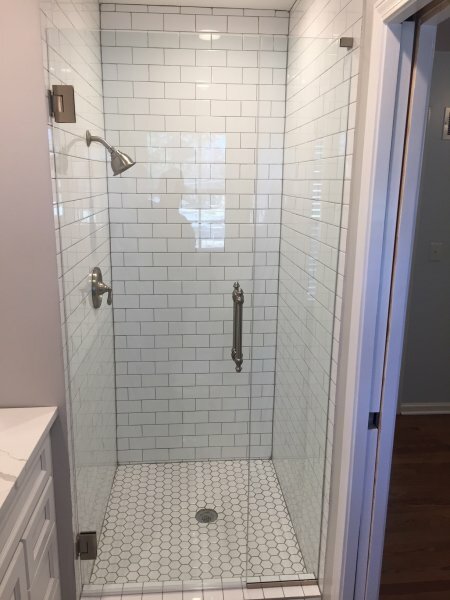 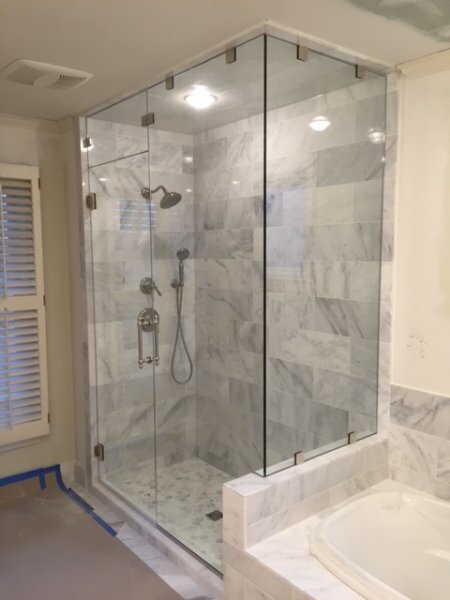 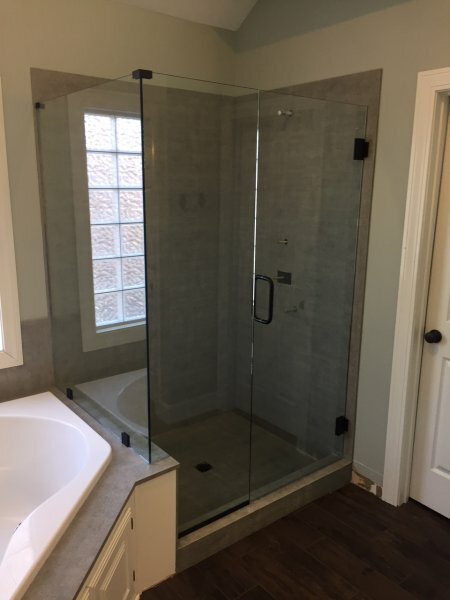 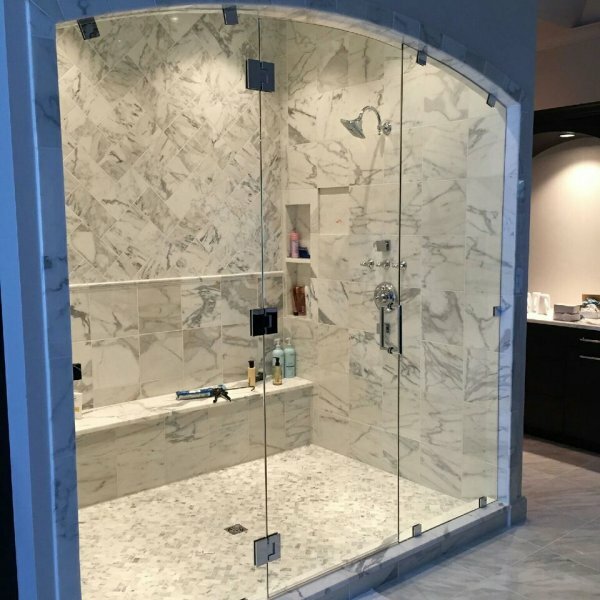 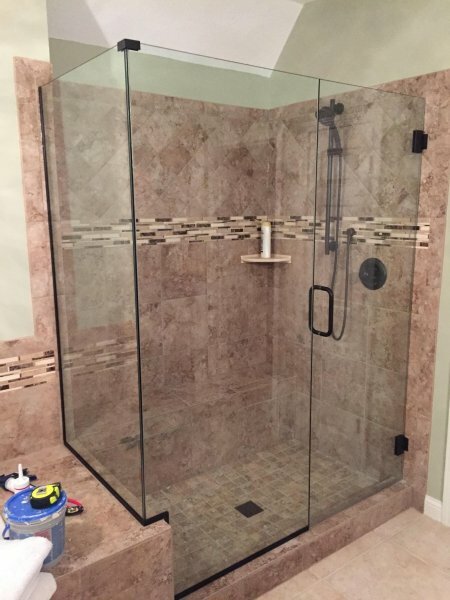 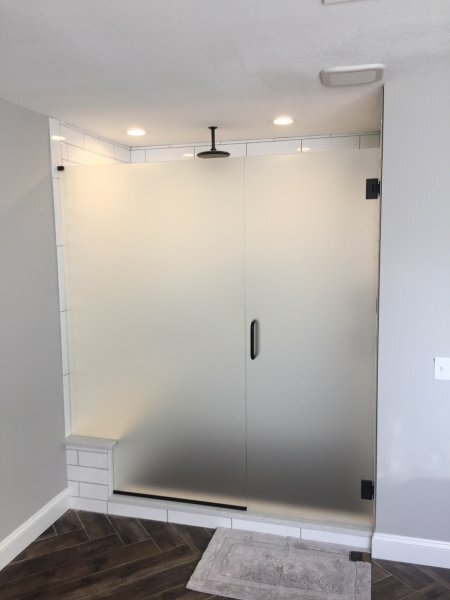 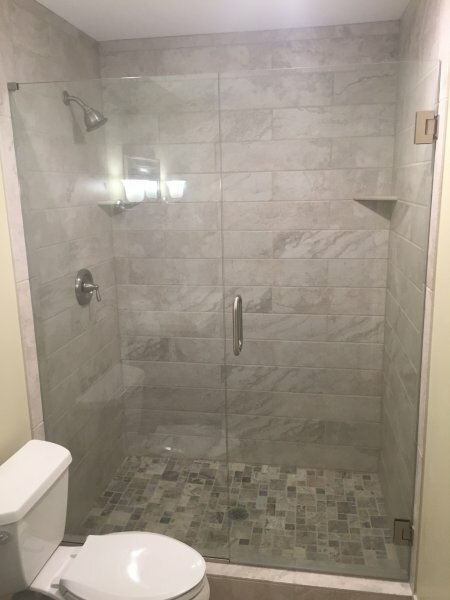 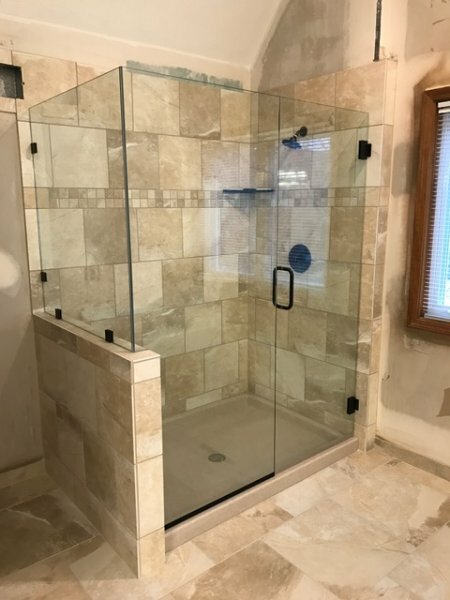 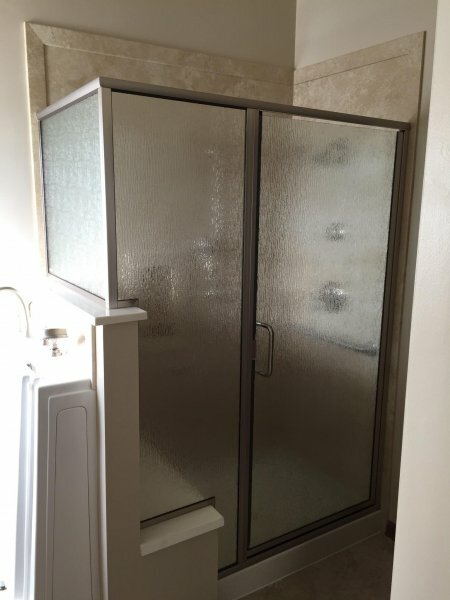 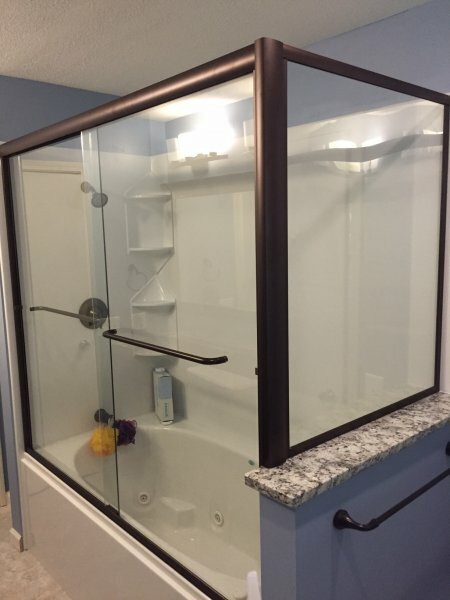 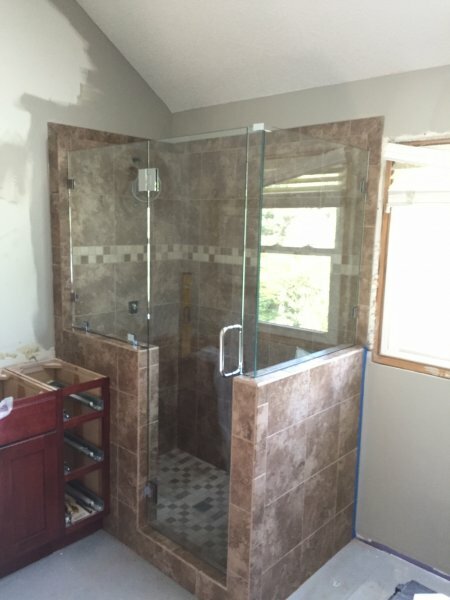 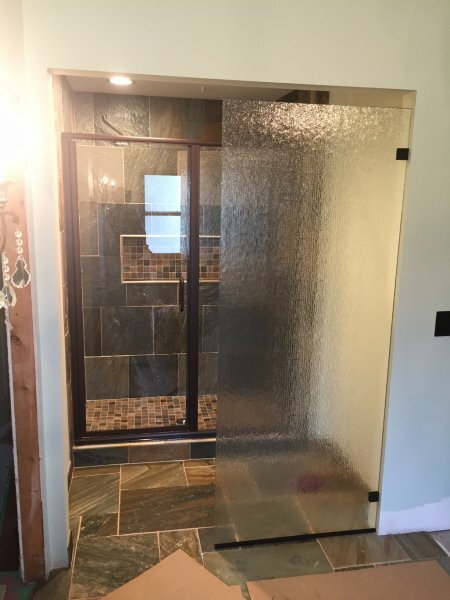 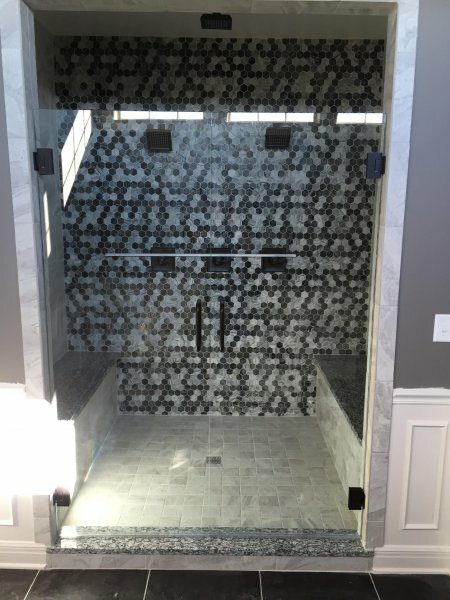 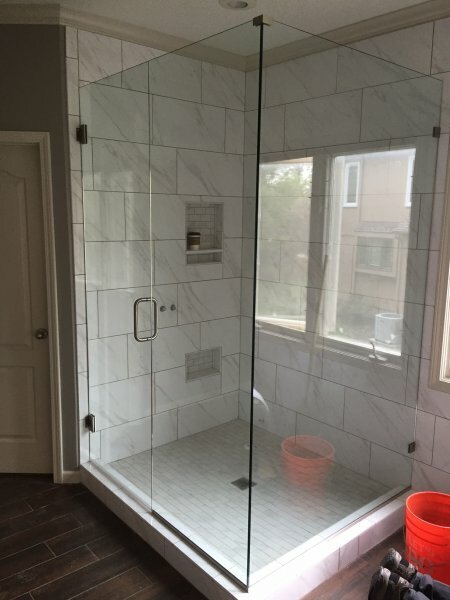 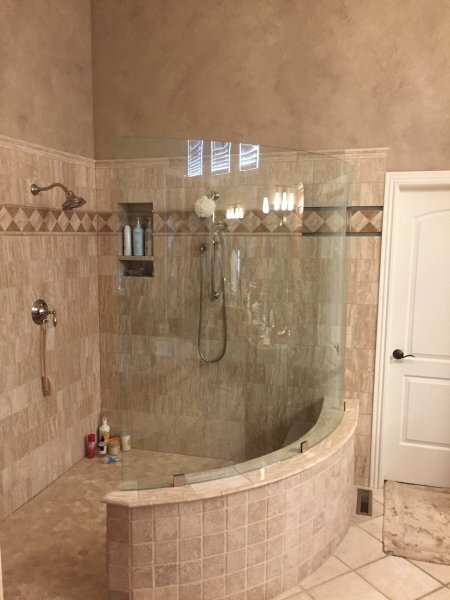 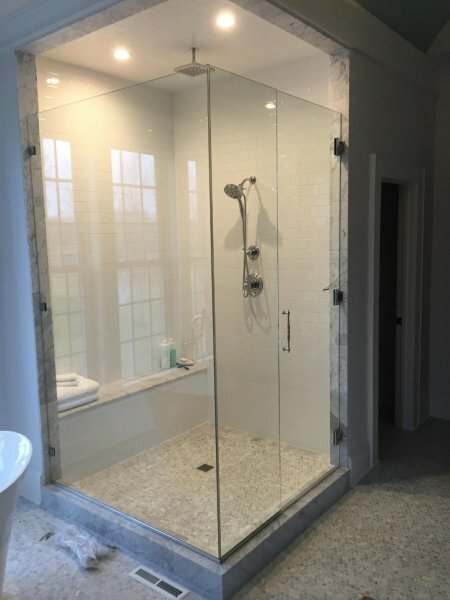 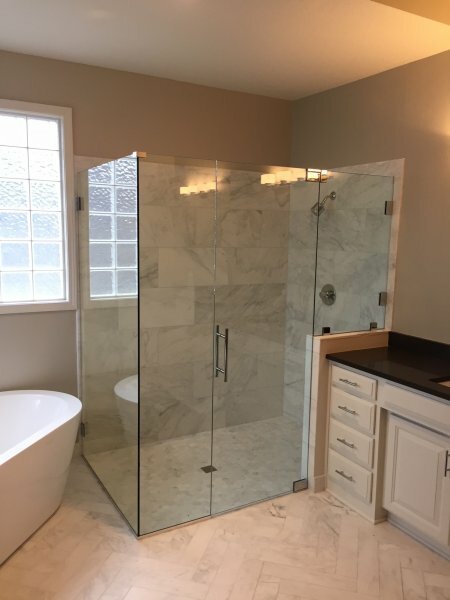 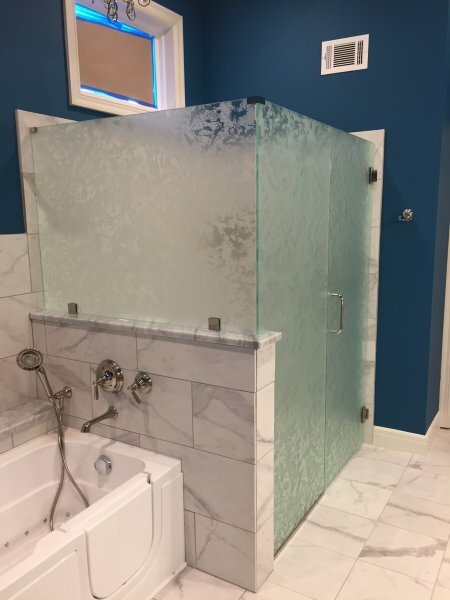 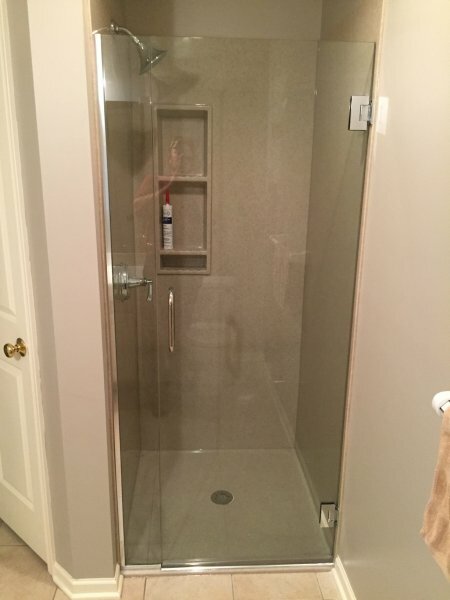 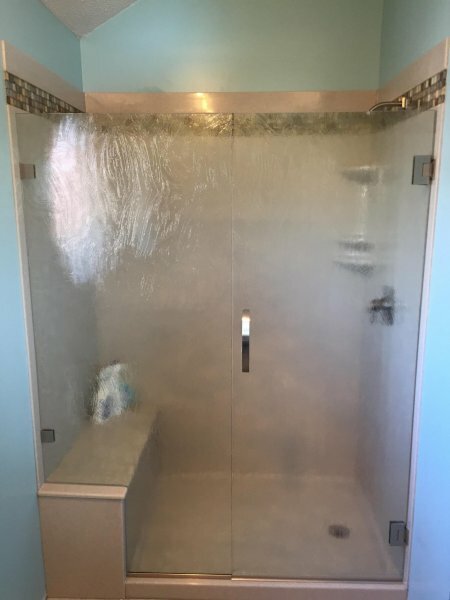 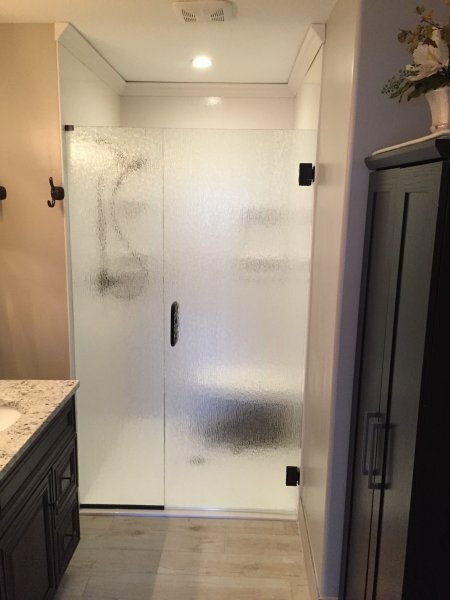 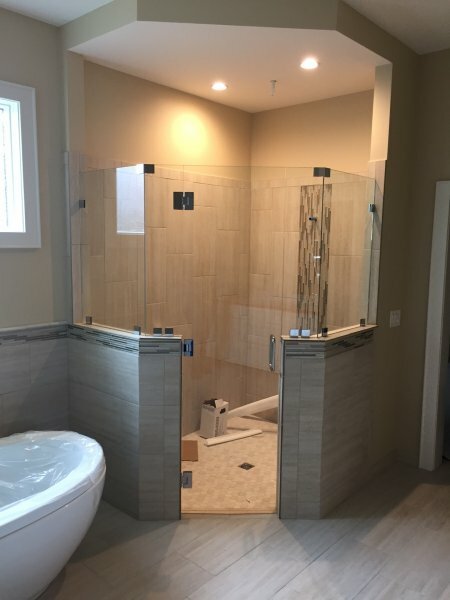 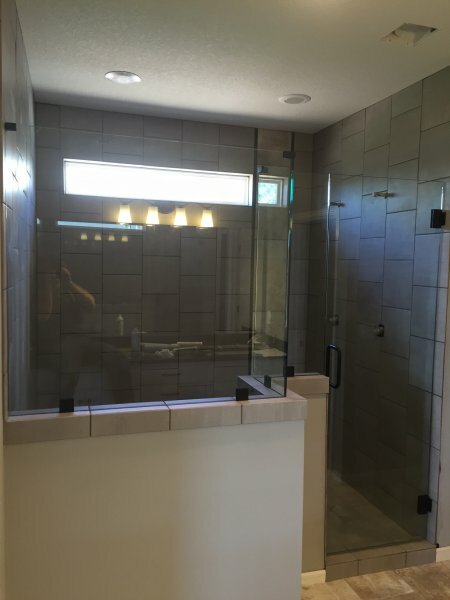 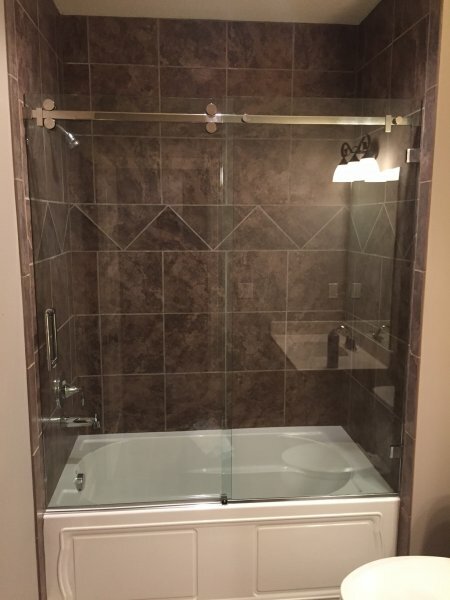 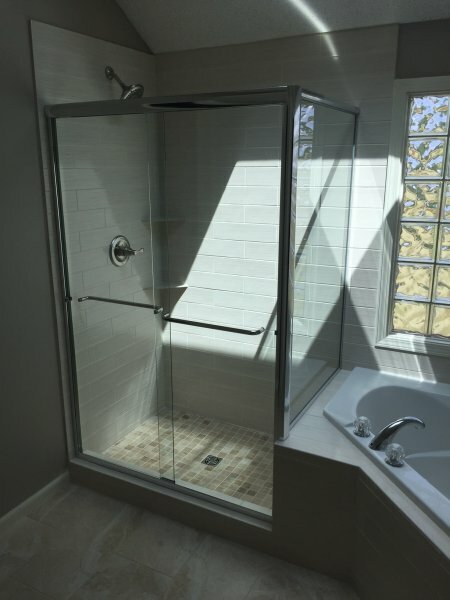 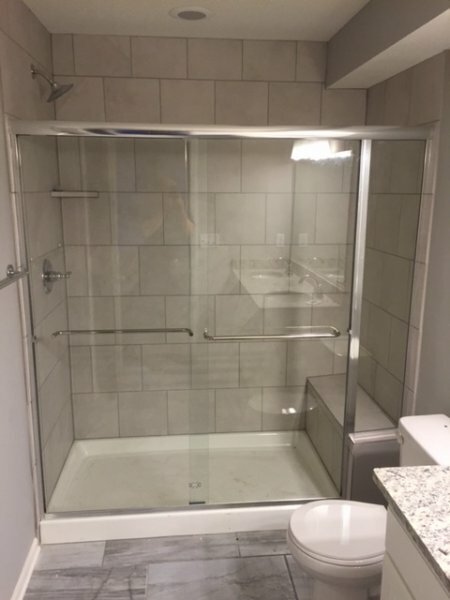 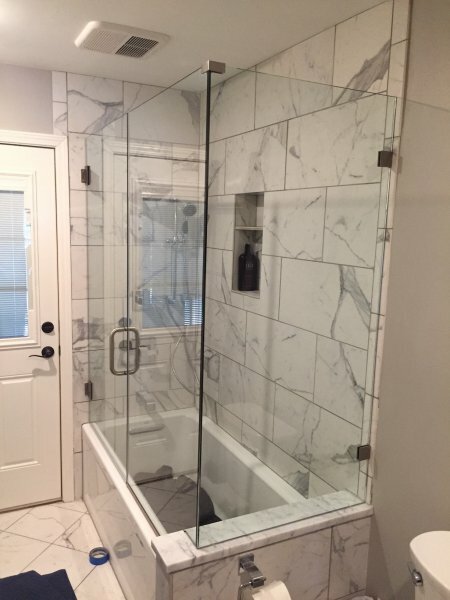 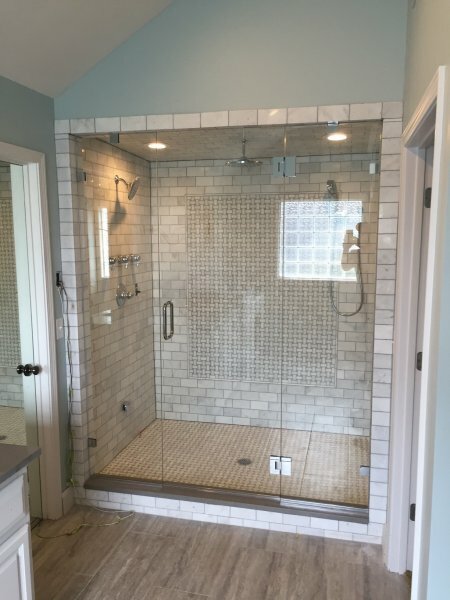 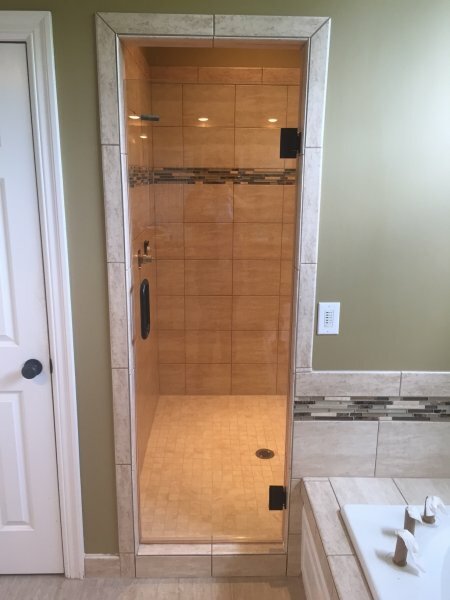 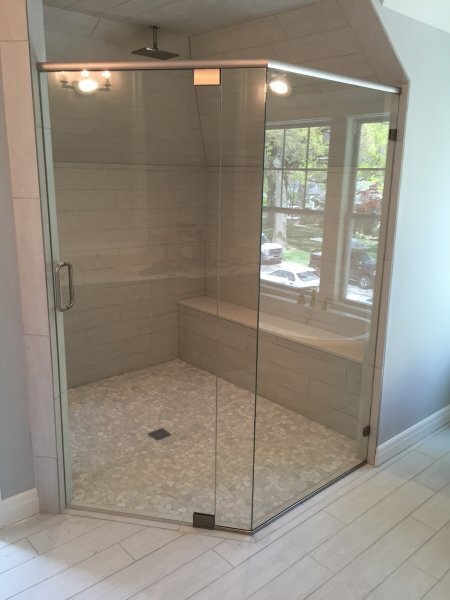 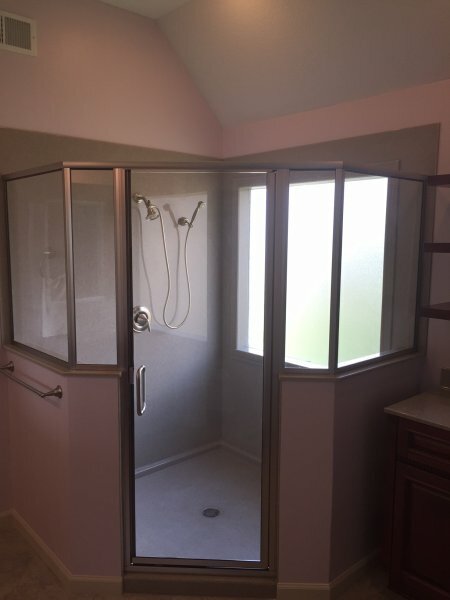 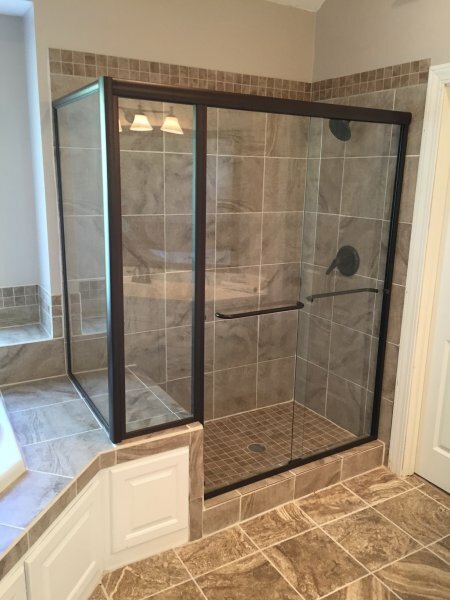 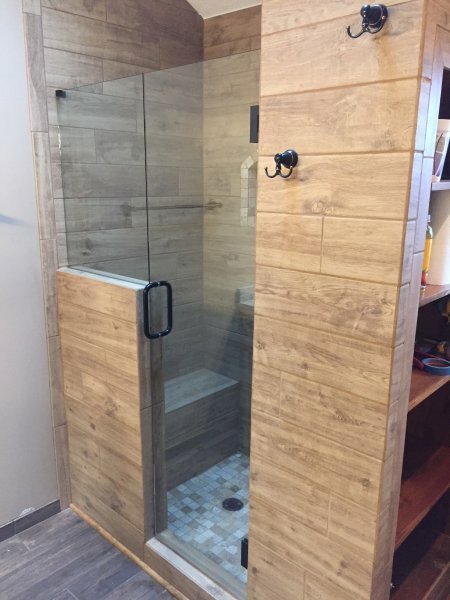 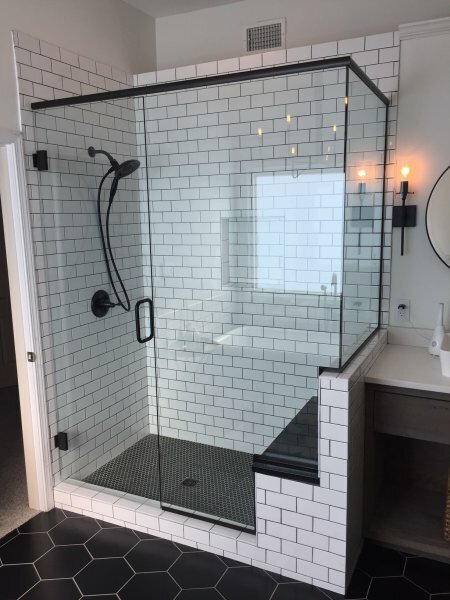 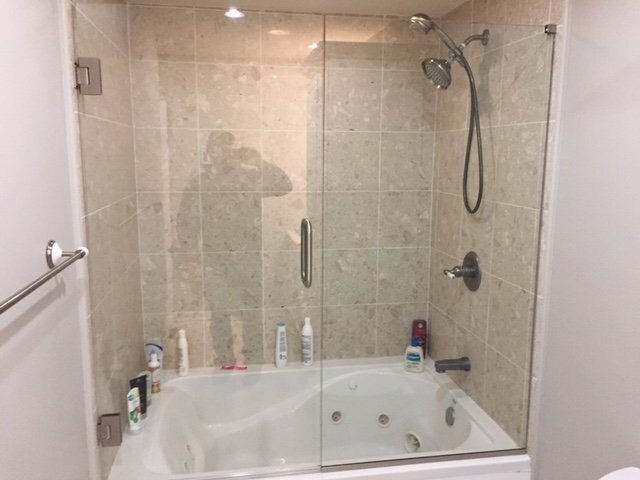 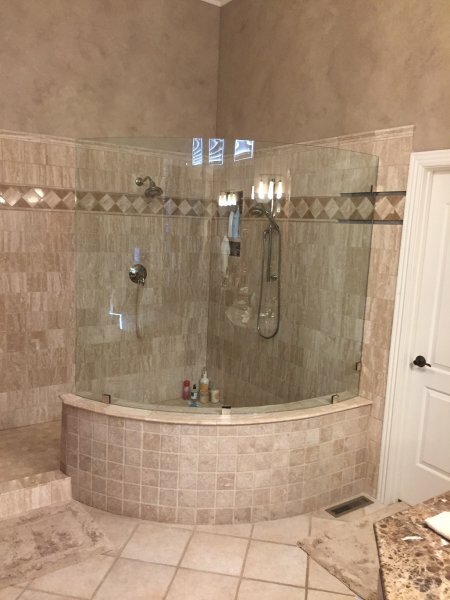 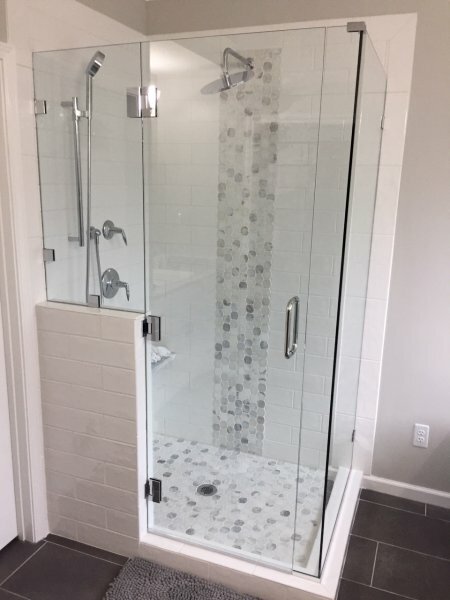 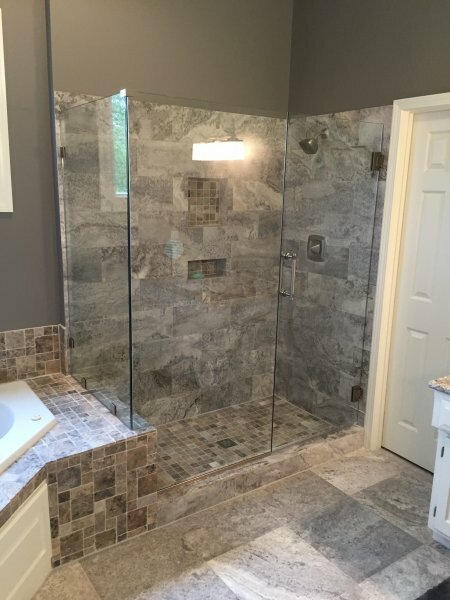 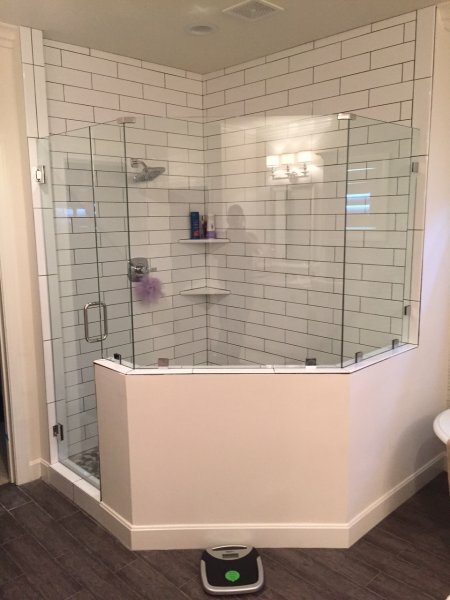 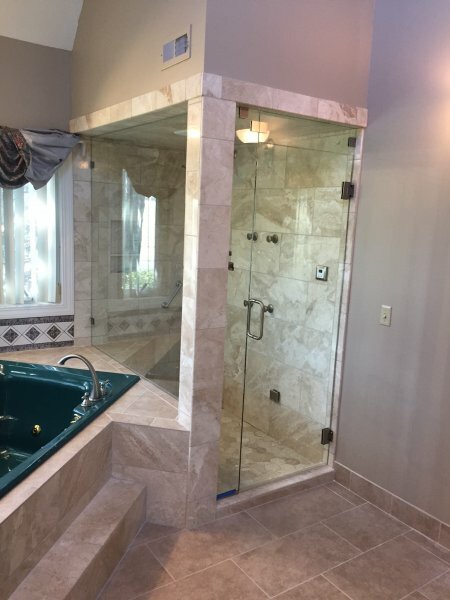 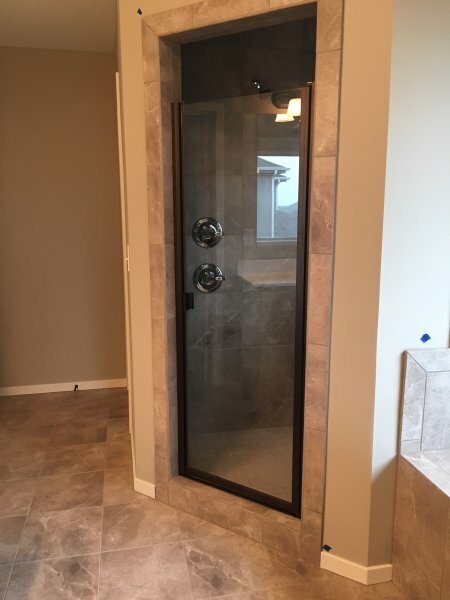 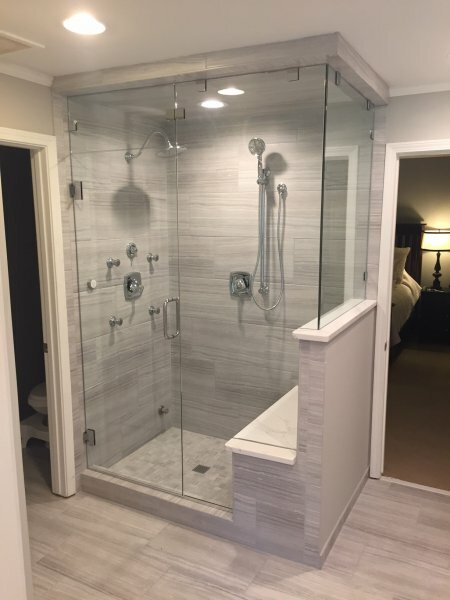 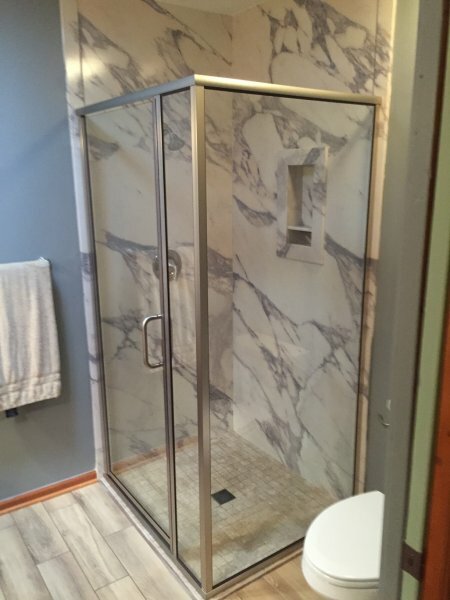 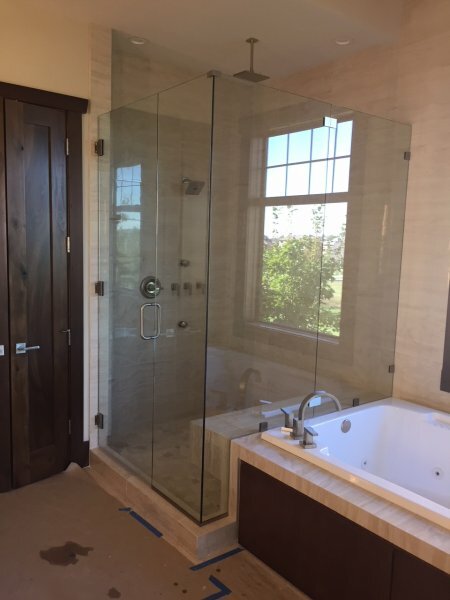 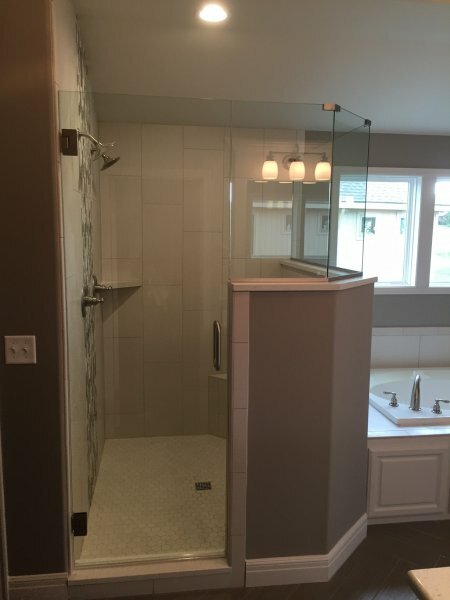 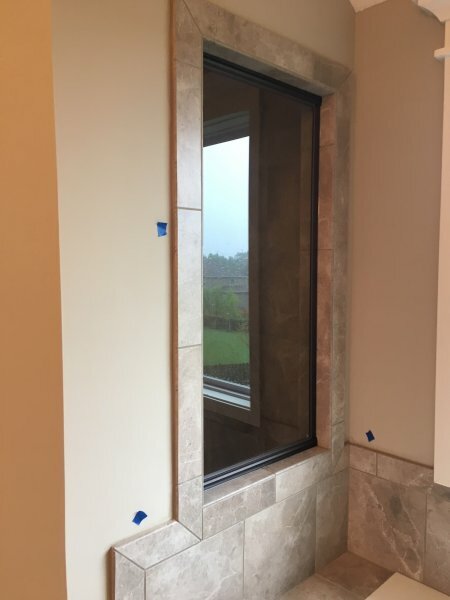 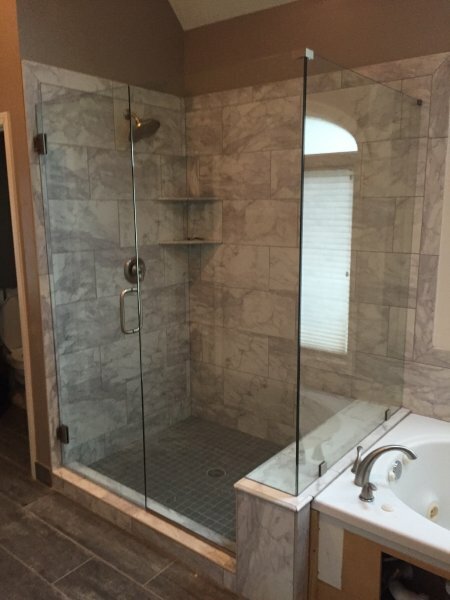 At Olathe Glass & Home Decor, we offer the finest quality shower enclosure products, the best design, materials and mechanical function for your bathroom construction or remodel needs. 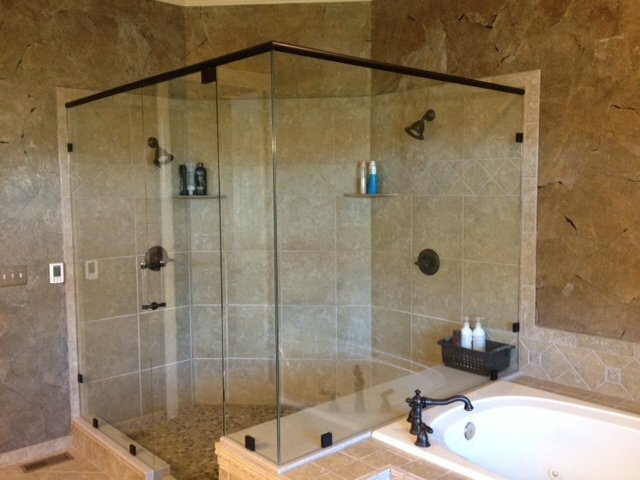 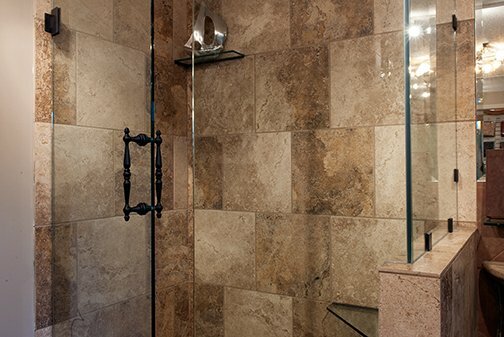 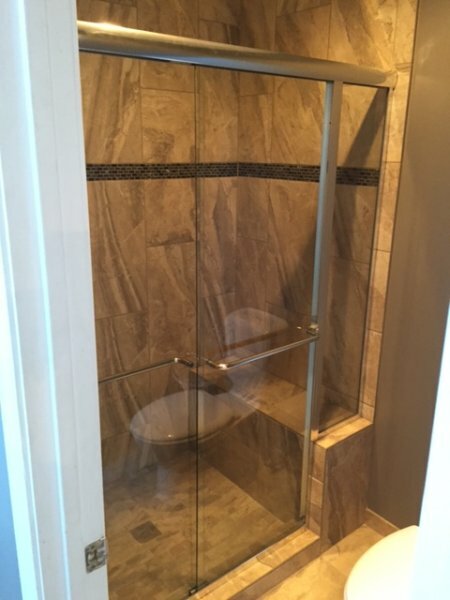 Our shower enclosures are available in a variety of finishes including chrome, brushed nickel, and oil rubbed bronze. 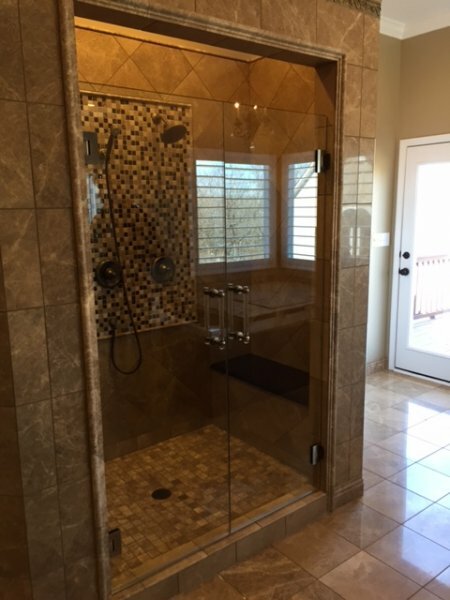 Other hardware finishes available as an upgrade include: brilliant gold, satin gold, satin chrome, white and antique. 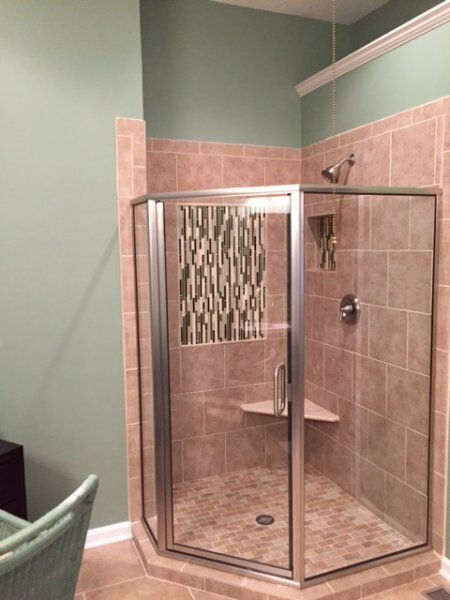 or you can choose from an assortment of custom powder-coated colors. 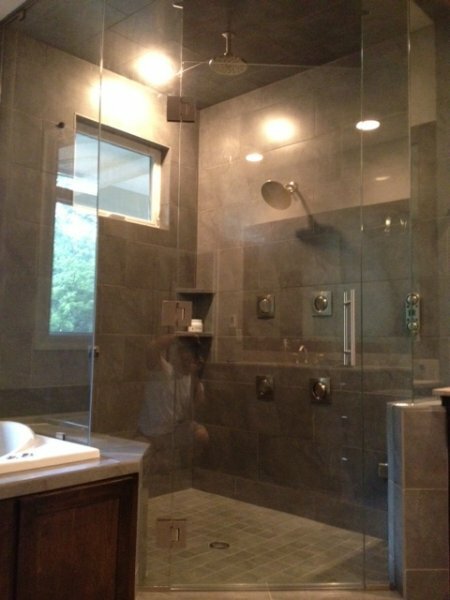 Most units are available with clear, rain or obscure glass, or with a host of custom glass options. 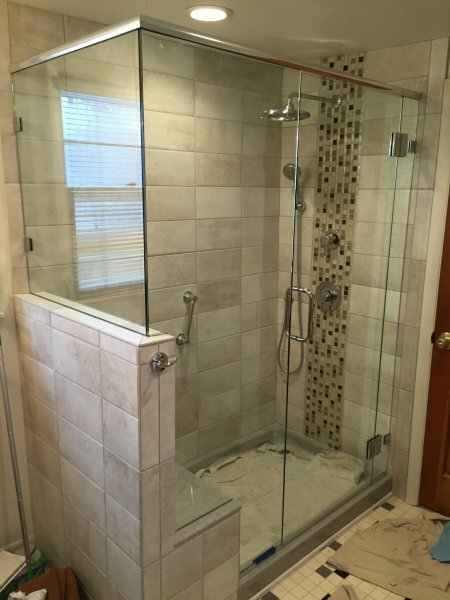 Contact us for a complete list of what's available. 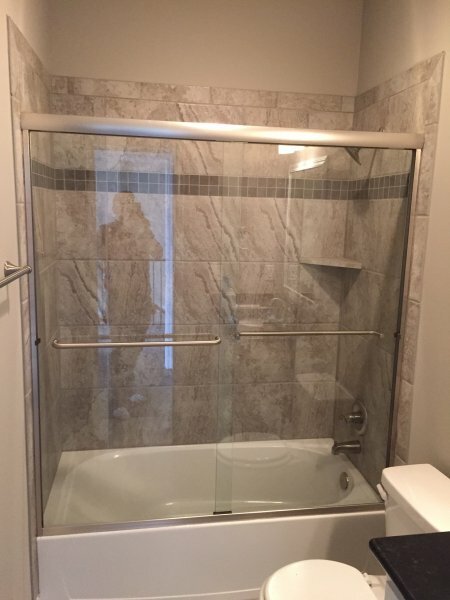 To view more available options, click here. 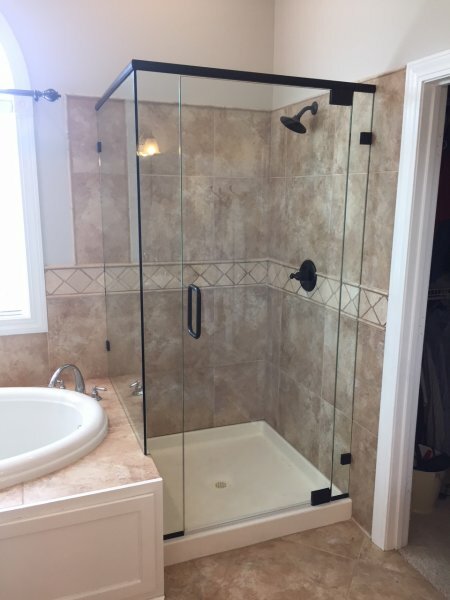 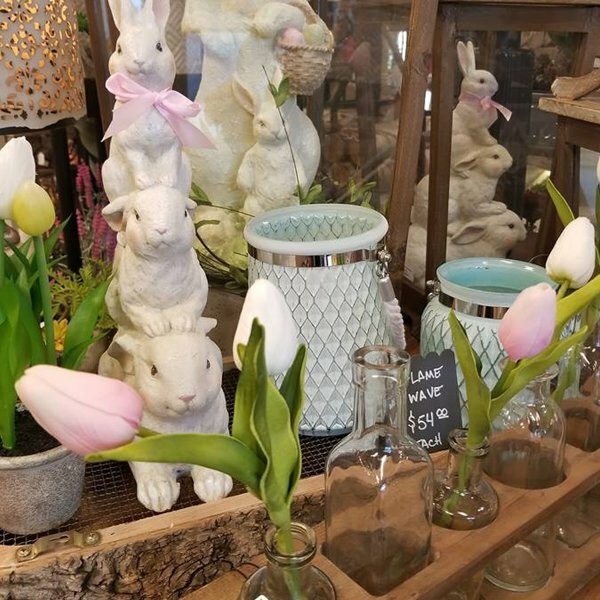 At Olathe Glass & Home Decor, we offer the finest quality bathroom construction products with the best design, materials and mechanical function for your bathroom renovation needs. 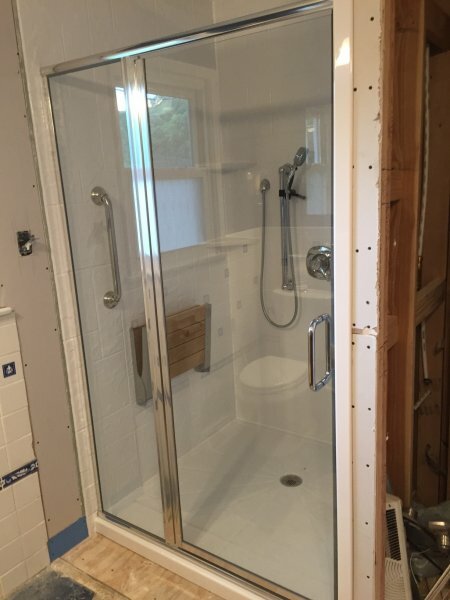 Our shower door hardware will not fade or wear off. 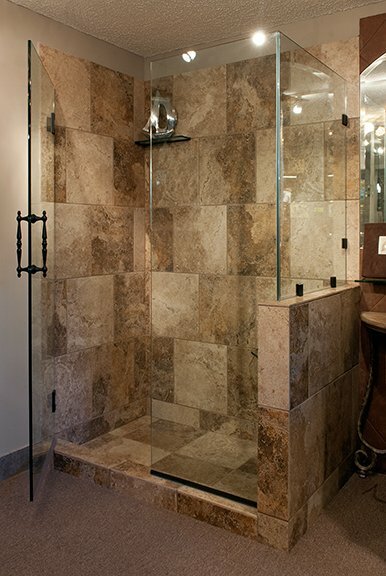 Our shower enclosures are available in a variety of finishes including chrome, brushed nickel, and oil rubbed bronze. 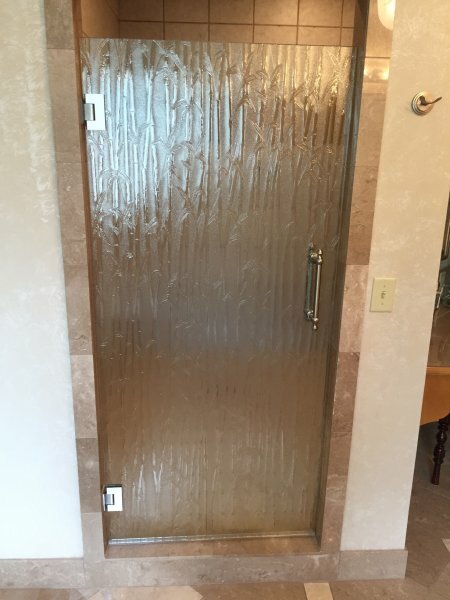 Other hardware finishes available as an upgrade include: brilliant gold, satin gold, satin chrome, white and antique. 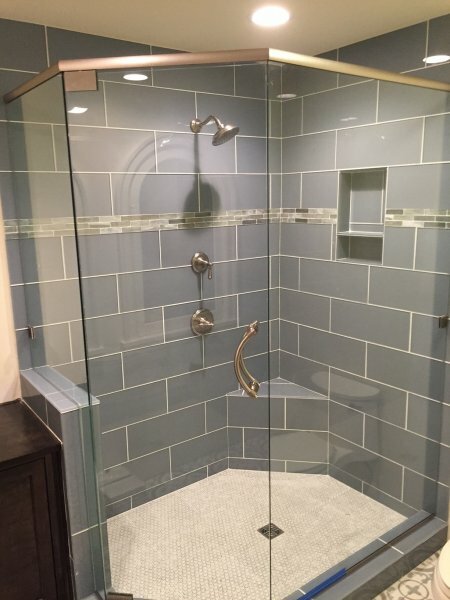 or you can choose from an assortment of custom powder-coated colors. 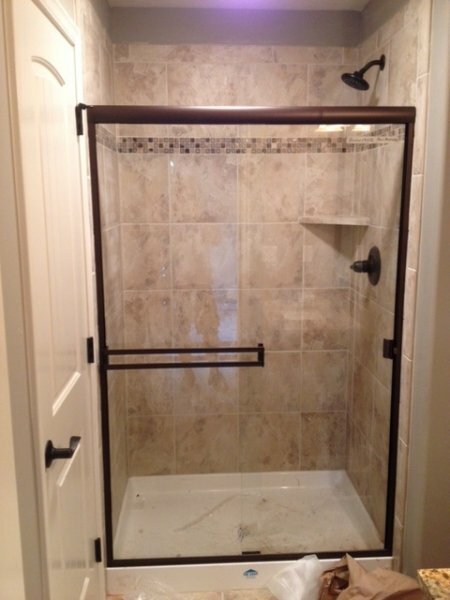 Below are our some of our shower hardware choices. 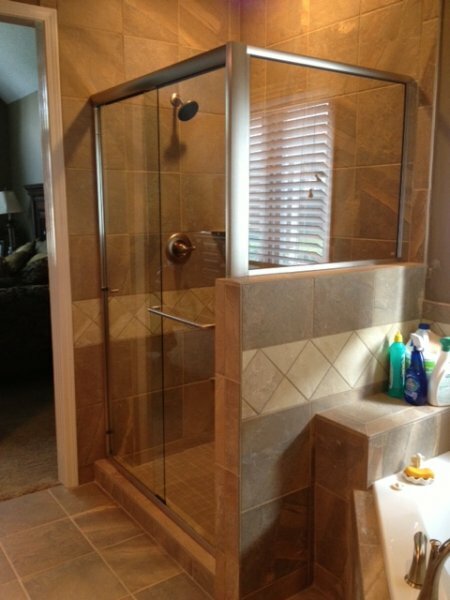 Each are available in the different finishes shown above. 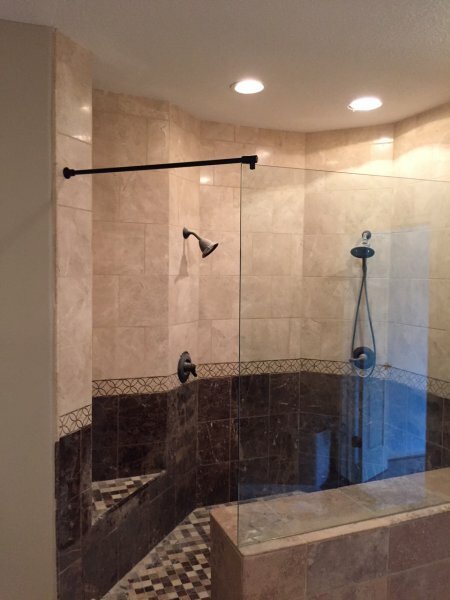 Contact us for a complete list of what's available. 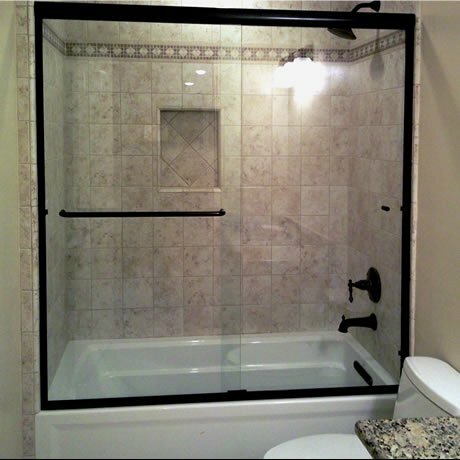 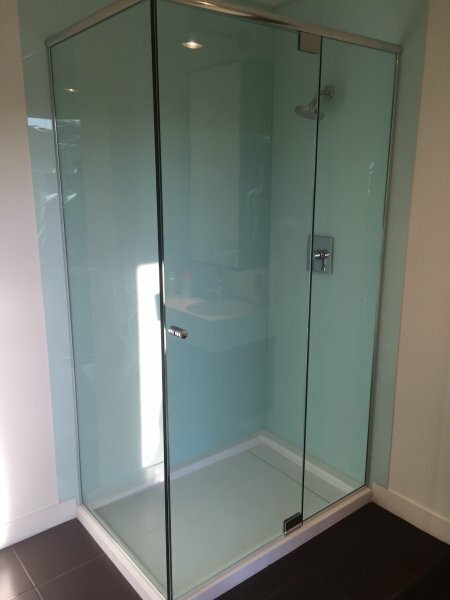 To view more available options, click here Looking for tips on how to keep your glass shower doors clean? 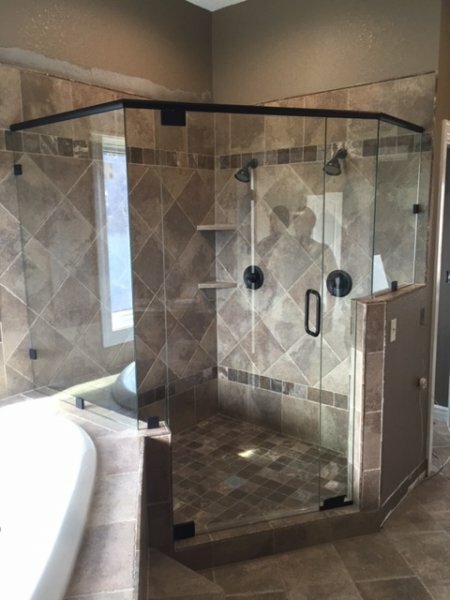 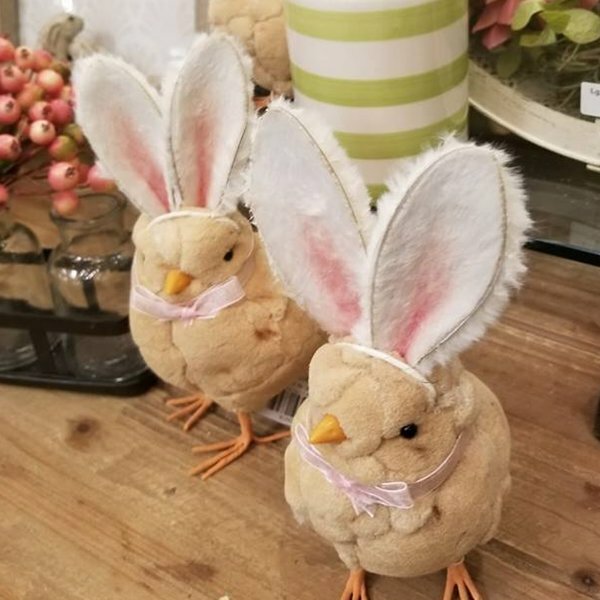 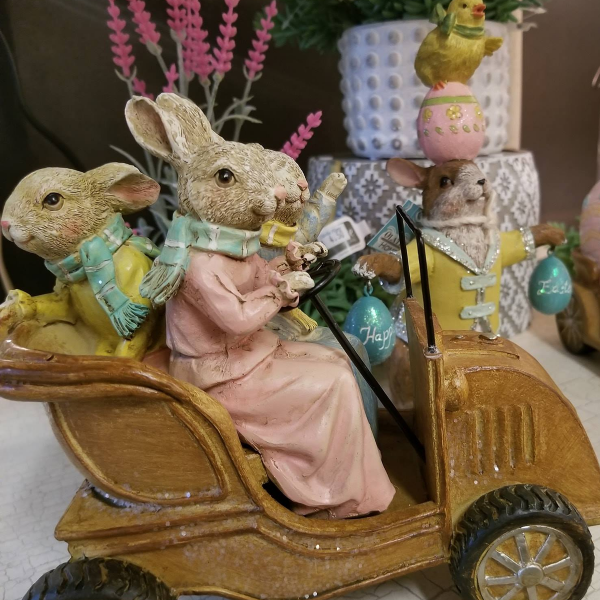 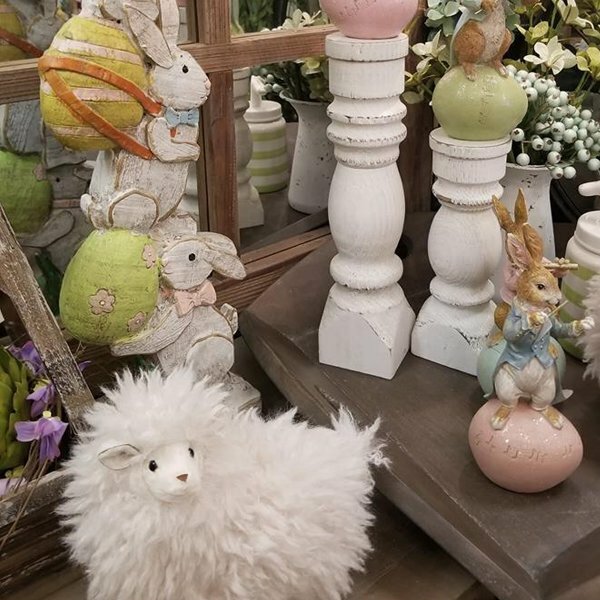 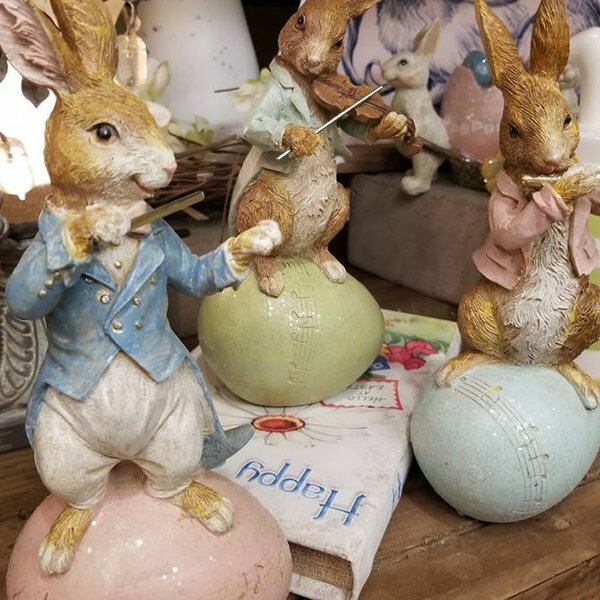 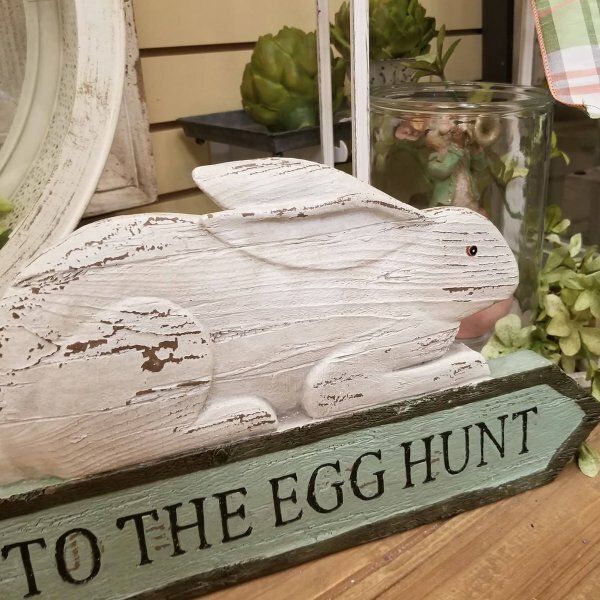 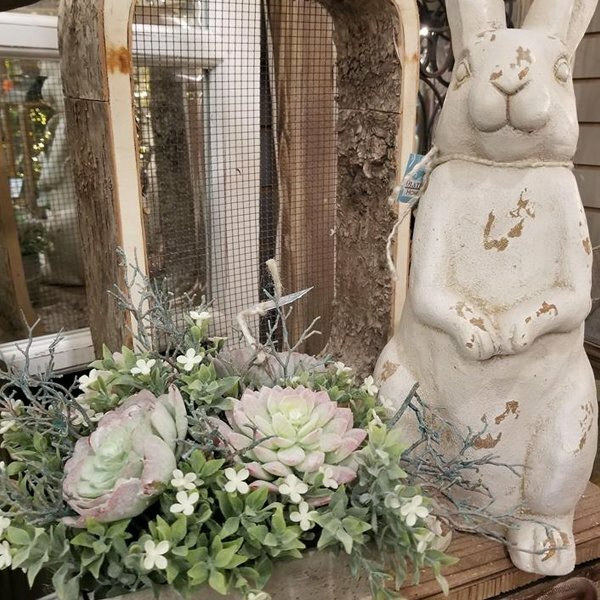 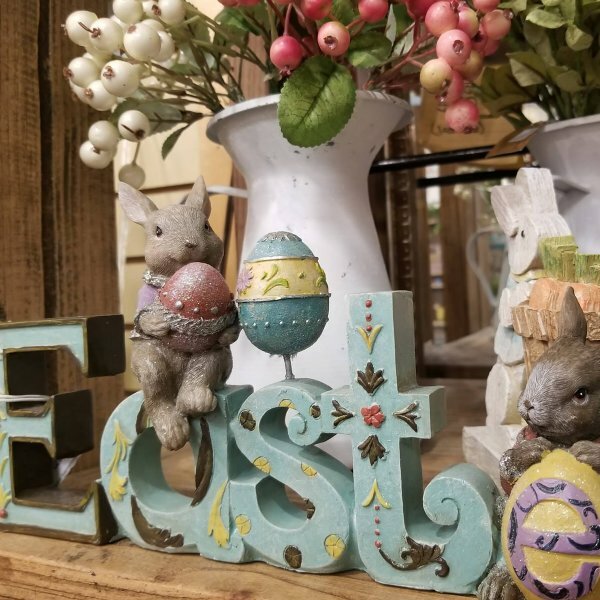 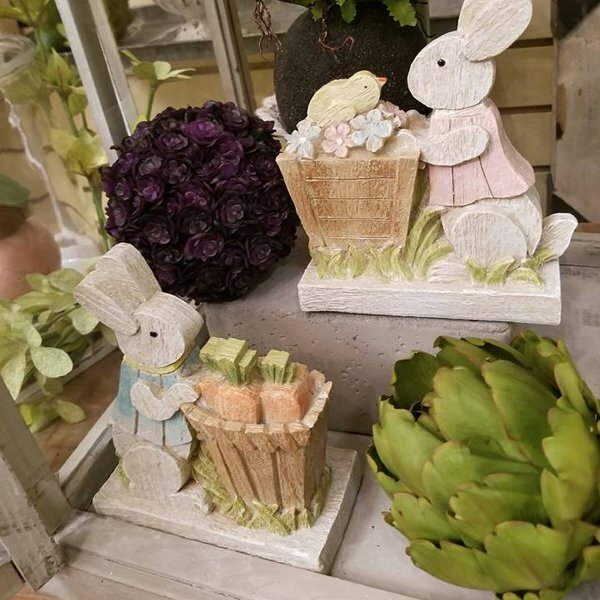 Click here for some ideas!